Public focus on the issue of mental health and well-being of students has been on the rise. Many educators are concerned about the growing problem of anxiety, depression, and students struggling with suicidal thoughts. 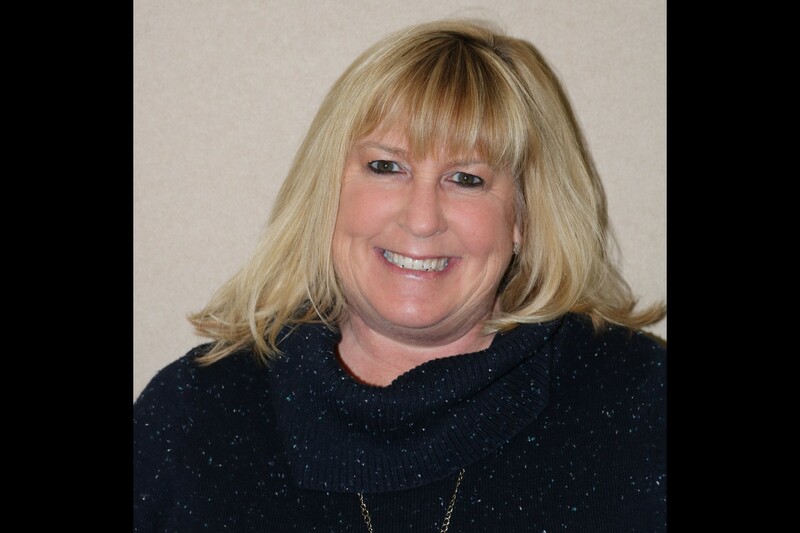 In one recent mental health survey, almost four in five teachers (78 percent) have seen their students struggling with mental health problems or issues in the past year. We already know that many students from elementary to high school levels experience stress at school. The question we should all be asking is “Why?” Knowing what is causing our students’ stress at school is the first step toward helping them overcome it. If we can figure out how to help our students better manage stressors, this will allow them to perform at their fullest potential in a healthier manner. 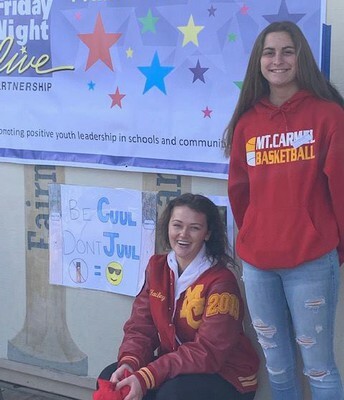 In an effort to gather input from our school community for our Local Control Accountability Plan, we surveyed students, staff, parents, and community members, utilizing our new “Thoughtexchange” engagement platform. We were interested to find out what our stakeholders considered to be the priorities and desired focus of our work as we continue to support all students. Of the 10,000 survey participants, over 1,200 of the respondents were PUSD high school students. As staff and I reviewed some of the top comments shared by our students, we discovered that indeed, our students are experiencing stress and the mental health and well-being of our students is of increasing concern. 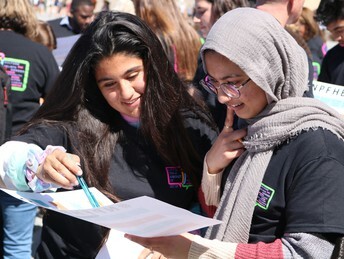 The survey responses from our own students show that in a high-achieving school district like ours, where success is the norm and expectation, students are feeling pretty overwhelmed by the pressures of homework, tests, getting top grades, balancing extracurricular activities and studying, getting into college, and managing their social lives both in person and online. Not to mention our students who might experience a significant life change or crisis in their home lives, such as a major move or new environment, death in the family, or divorce, which causes even higher spikes in stress levels. 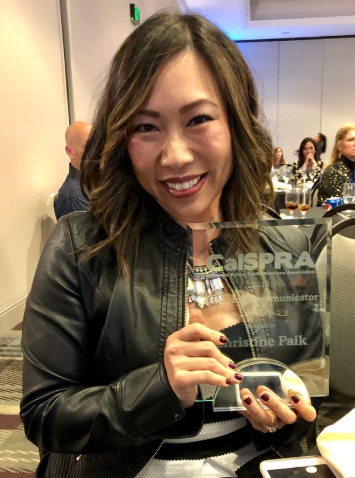 Katie Wu, Westview English teacher and San Diego County Teacher of the Year, recently gave a keynote address at our District Recognition Dinner. She grew up as an English learner, in a poverty-stricken, first-generation immigrant family. Yet, she recalled, how none of her teachers or administrators knew about all of the stressful situations she was experiencing at home, including not having enough food to eat or clothes to wear. 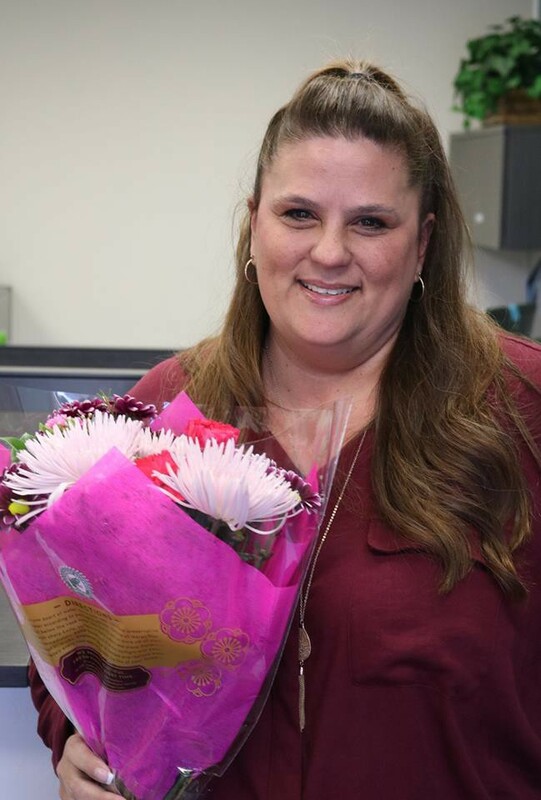 Now, in her role as PUSD’s Youth in Transition coordinator, she meets with families in our district living in hotels, renting a room from another family, or living in their car. 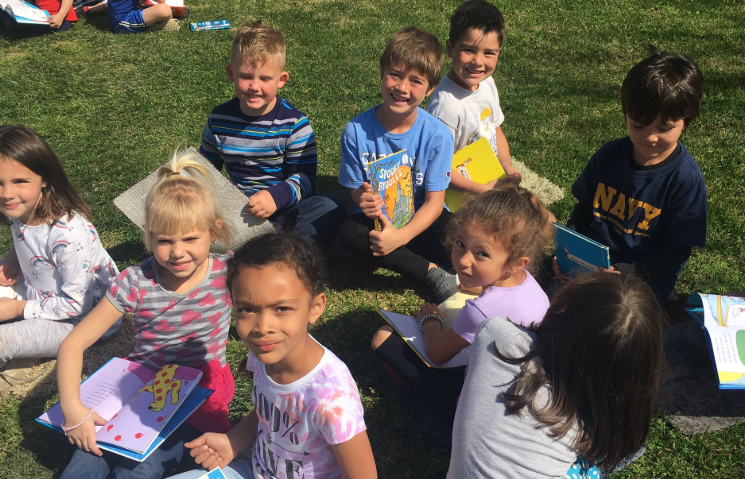 Yes, PUSD serves over 160 homeless students, and you can bet being homeless affects a student’s ability to learn! 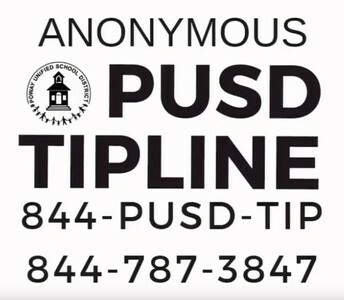 As educators, when is the last time we considered whether our students are getting enough sleep, whether they might be hungry, whether they have a strong support system, whether they need additional mental health resources, or whether something might be going on at home that is affecting their performance at school? As parents, when is the last time we asked our child – not about their test score or grade in a class – but about how they’re actually doing and what might be stressing them out in their lives? We should be helping young people develop self-awareness and coping skills as well as organization, prioritization, and time management skills, which are all essential skills for their adult lives. We need to care about the whole child. Our goal should not be solely focused on creating students who can succeed academically, only to struggle mentally or emotionally as adults. I am encouraged to see the increasing work in our district and schools with addressing student stress, including through counselors and school-sanctioned stress relief events during finals and A.P. tests. And at the district level, a committee is currently tackling the topic of meaningful homework, not just busywork. We still have a lot of work to do in addressing student wellness, but we will continue to seek resources and ways to address this growing concern with our students. But in the meantime, let’s all recognize that student stress is a very real and multi-faceted problem, and we must work together to help reduce it. 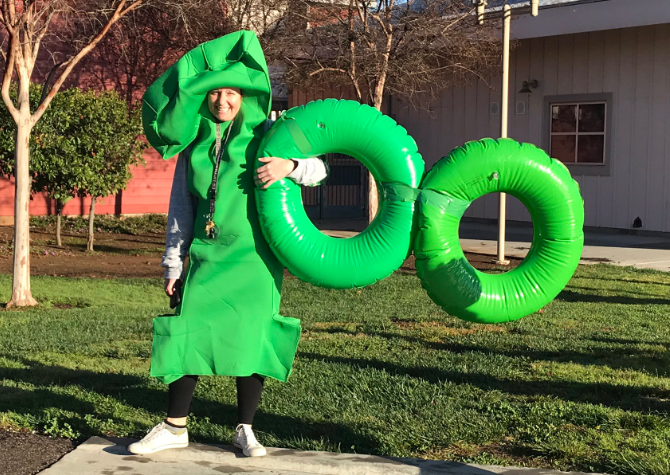 Please watch the video from Dr. Phelps below and visit the Poway Unified School District's Thoughtexchange LCAP results page, where you can explore some of the top themes and responses that emerged from our Districtwide survey. 8,914 adults and 1,200 students participated! 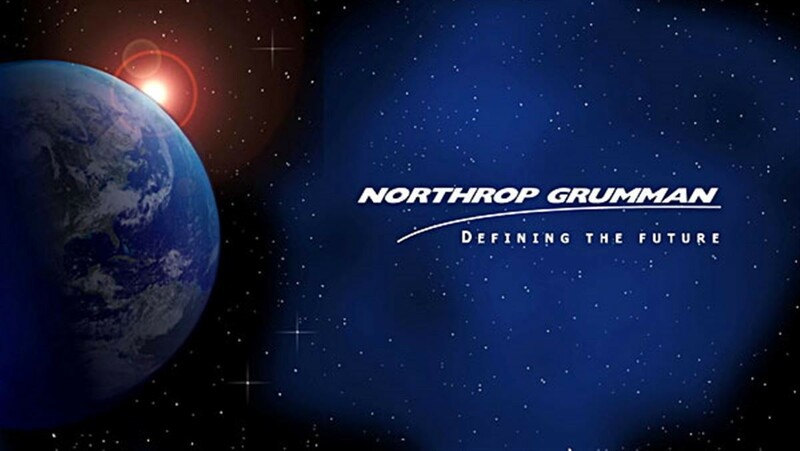 Thank you for taking the time to share your comments, ideas, and opinions with us. Your input helps shape the District's direction and priorities moving forward. We will use the feedback to inform our Local Control Accountability Plan, or LCAP. The LCAP is essentially a roadmap that the District follows for the next several years, tied to our budget priorities. 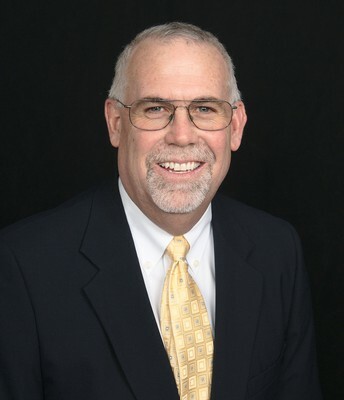 The plan will be presented at a public hearing on June 6, 2019 at our Board of Education meeting. Did you know PUSD has over 160 families considered homeless, meaning they lack regular fixed or adequate housing? 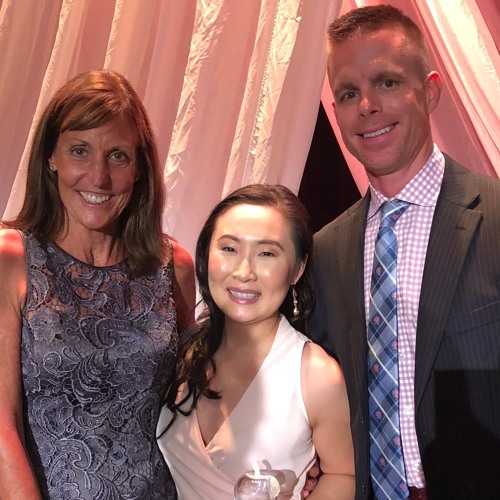 Meet Katie Wu, PUSD and San Diego County 2018 Teacher of the Year and the District's new Youth in Transition Coordinator. 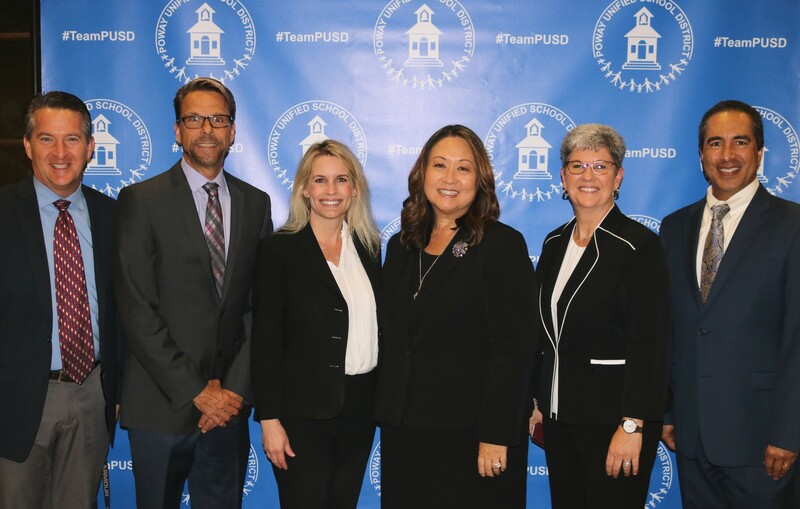 In this month's PUSD Podcast, she talks about how the District is able to help students and their families who are struggling to make ends meet. 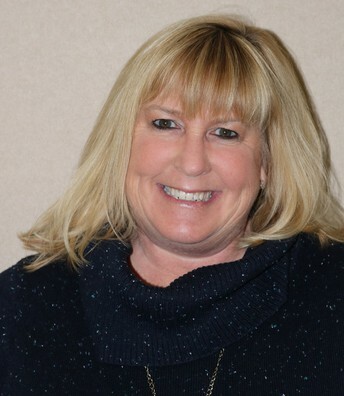 She also talks about her own humble beginnings and how that inspired her to become a teacher. 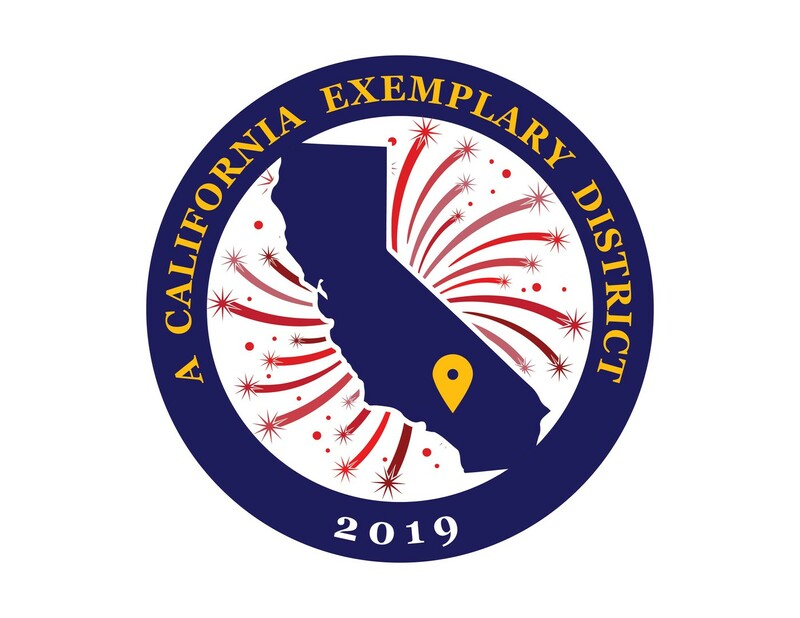 The Poway Unified School District was selected as San Diego County’s California Exemplary District awardee for 2019. This award celebrates the achievements of districts that have implemented model practices that have had a positive impact on student outcomes. 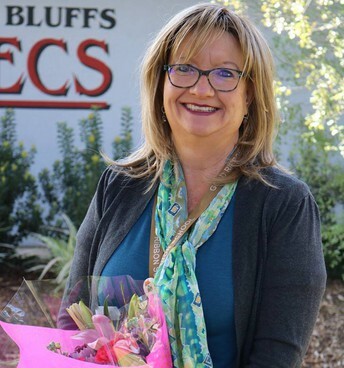 The selection of the award recipient was based on a school district’s positive culture and climate with an emphasis on student and family engagement, as well as a district being able to make exceptional strides in student achievement. 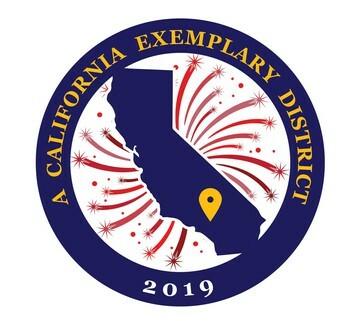 State Superintendent Tony Thurmond will present the award at a ceremony taking place on Friday, April 5, 2019, in Anaheim, California. Meadowbrook Middle School and Mt. 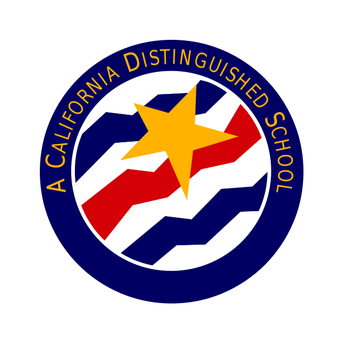 Carmel High School were named as California Distinguished Schools under the California Department of Education’s Distinguished Schools Program for 2019. State Superintendent of Public Instruction Tony Thurmond announced 162 middle and high schools across the state that are being recognized for their outstanding education programs and practices. Schools are awarded for achieving exceptional student performance for two consecutive school years or closing the achievement gap between two school years. You can read more about the schools' efforts in this article. Oak Valley Middle School earned 1st place and Black Mountain Middle School earned 3rd place in the San Diego Science Olympiad regional competition and are now heading to the State Finals. 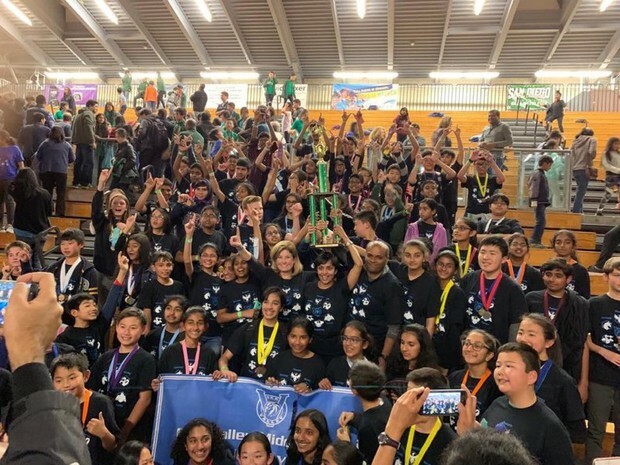 Additionally, the following PUSD middle schools placed in the top ten: Mesa Verde (6th place), Meadowbrook (8th place), and Bernardo Heights (9th place). 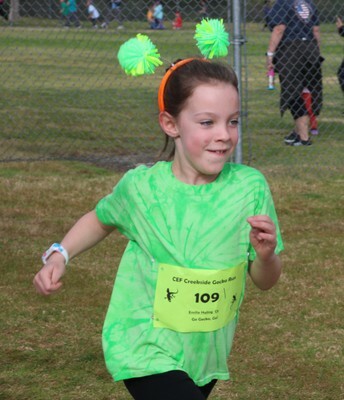 Our students competed against 34 different schools with over 110 teams represented. The state competition will be held on April 6th at Cal Tech. 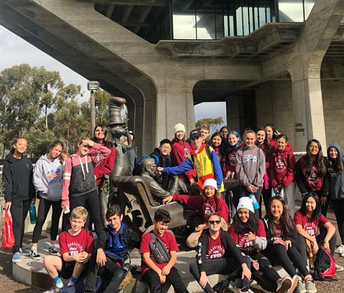 #TeamPUSD was well-represented at the recent Science Olympiad competition held at the University of San Diego. 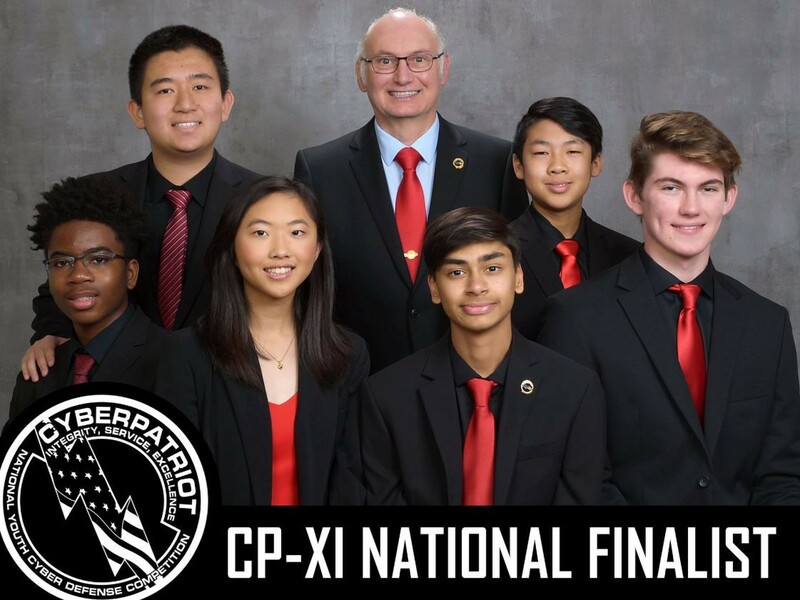 In the High School Division PUSD has three teams heading to the Southern California State Tournament – Del Norte, Westview, and Rancho Bernardo High Schools. 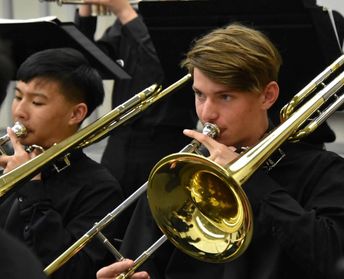 Poway High School also had their best year ever – bringing home six awards! Congratulations to all of our Olympians! 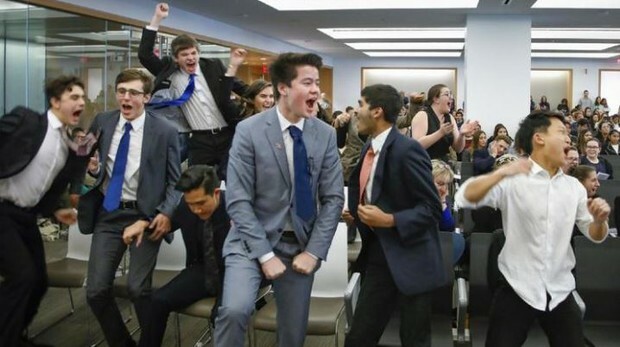 Westview's Mock Trial team is heading to the state competition after outscoring Our Lady of Peace at the San Diego County competition. The tournament involved 26 school teams competing against each other in presenting a realistic criminal trial. 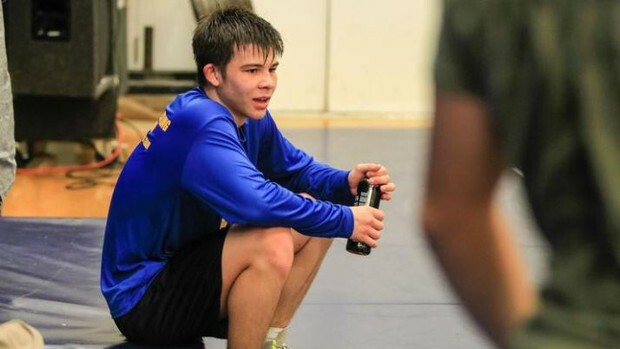 This year’s case involves the First Amendment and cyberbullying, with a defendant facing charges of making criminal threats and making a false report of an emergency. (Photo courtesy: Howard Lipin/San Diego Union-Tribune). You can watch the team's news appearance on KUSI here. Teacher Michelle Magaña (center), from Creekside Elementary School, was surprised as part of KSON’s Teachers are Heroes program - sponsored by Azusa Pacific University and KSON in partnership with SDCOE. 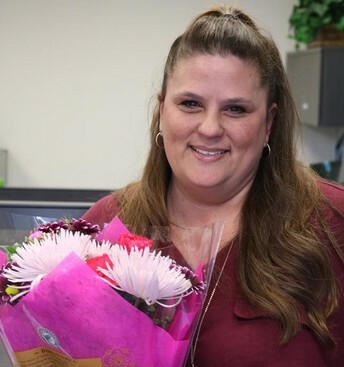 SDCOE received a wonderful nomination letter for Ms. Magaña from a school parent detailing what an amazing teacher she is. On hand for the presentation: Joel Powell and Dr. Andrea Liston from Azusa Pacific University, Jennifer Rodriquez from the San Diego County Office of Education, George Sandoval from KSON radio, and hundreds of cheering students, parents and staff! 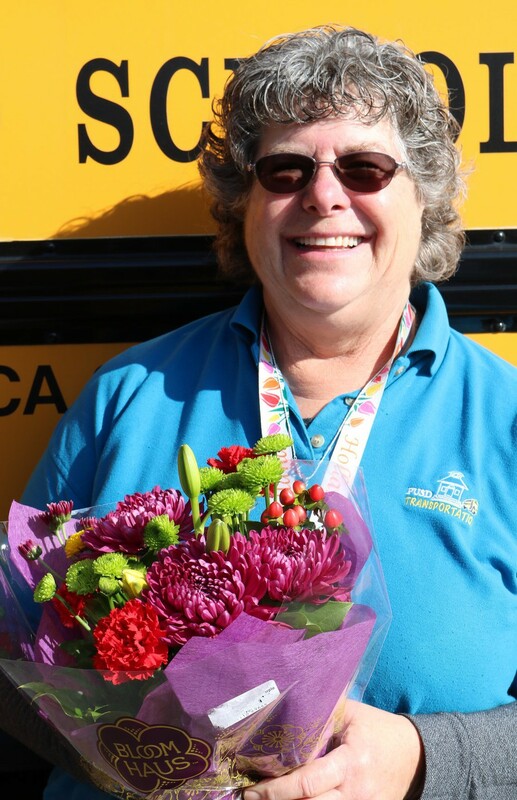 Shoal Creek Elementary School first grade teacher Lisa Ransom was recognized as a Classroom Hero by San Diego’s ABC10. 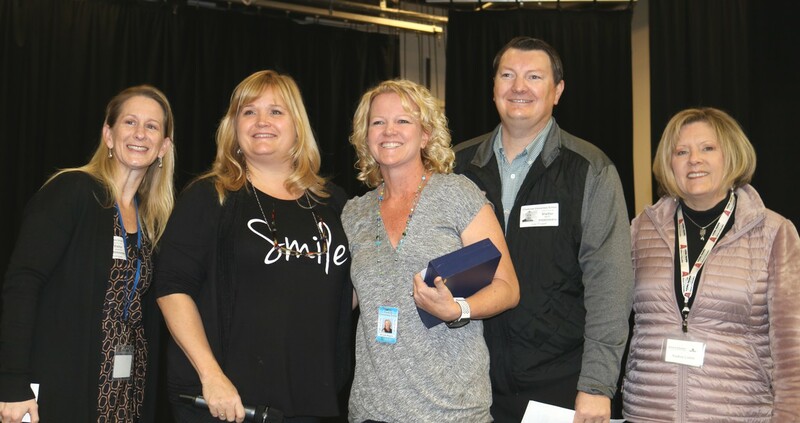 In addition to Lisa and her students, sponsors of the Classroom Heroes program - iHeart Media and San Diego County Credit Union (SDCCU) – were there to present Lisa with her award and prizes! 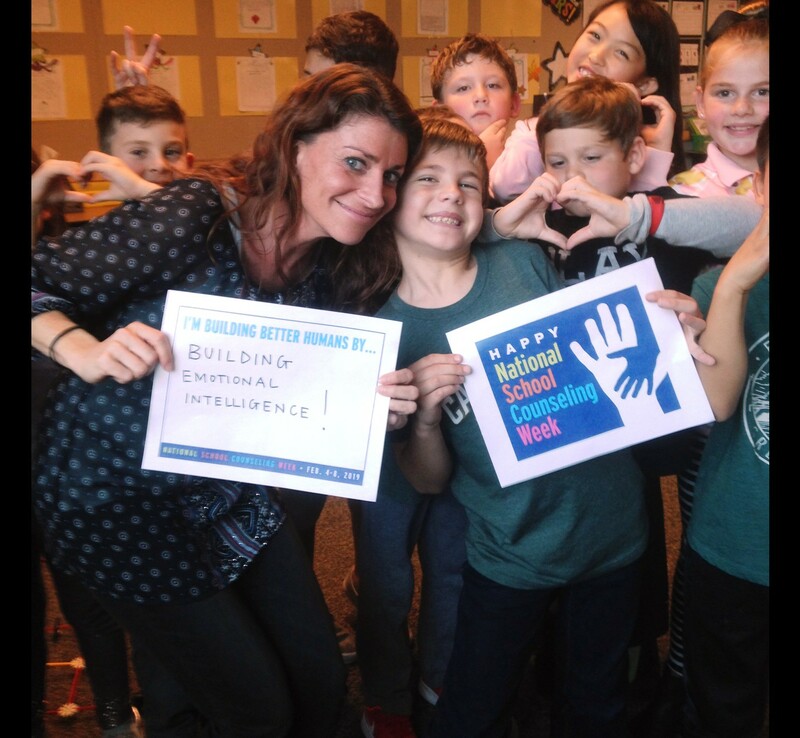 Lisa was nominated by parent Cate O’Reilly, who has had three children in Lisa’s classroom! You can watch the news story here. 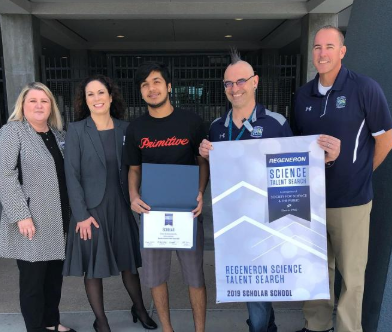 Congratulations to Vinod Krishnamoorthy for receiving the Regeneron Science Talent Search Scholar Recognition! 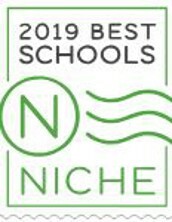 Poway Unified Elementary Schools took 18 out of the top 25 spots of best public elementary schools in San Diego County as rated by niche.com! See the list here. 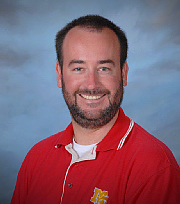 All of PUSD's middle schools are ranked in the Top 15 of the Best Public Middle Schools in San Diego County. See the list here. 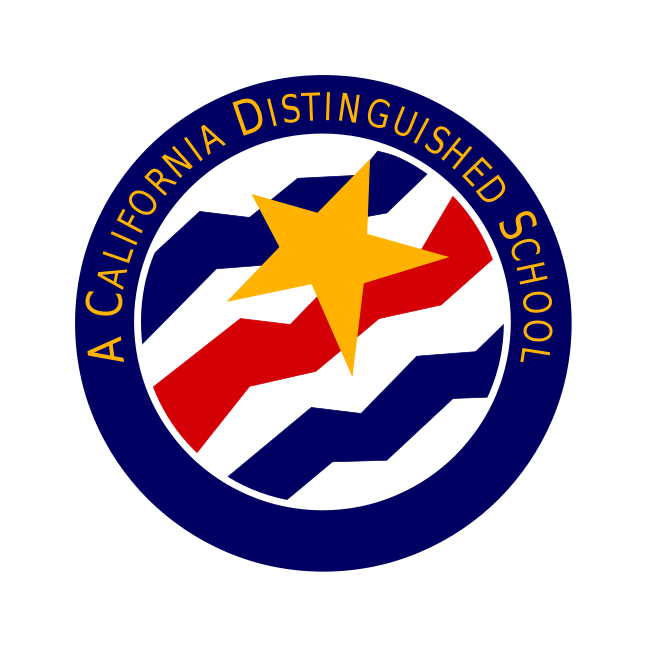 All of PUSD's comprehensive high schools ranked in the top 20 of the Best Public High Schools in San Diego County. See the list here. 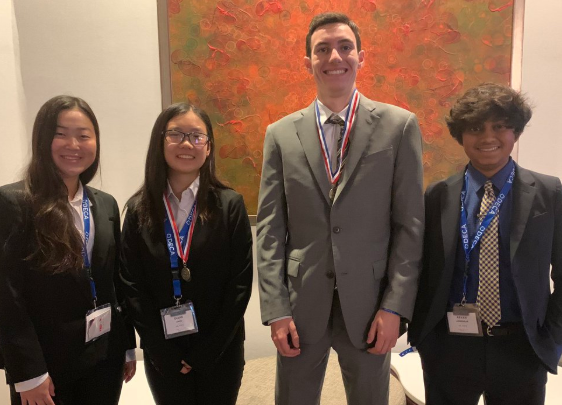 Congratulations to Del Norte High School's Alec Gonzales and Diane Zhou who were Top 10 Finalist at the 2019 California DECA state conference! 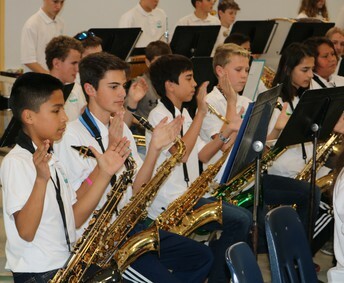 Congratulations to the Oak Valley Middle School Jazz Band for winning first place at the Irvine Jazz Festival. They also received recognition for the Most Outstanding Trombone section (middle school)! This is their 3rd year at the festival, their first 1st place win and they were the only school from San Diego! 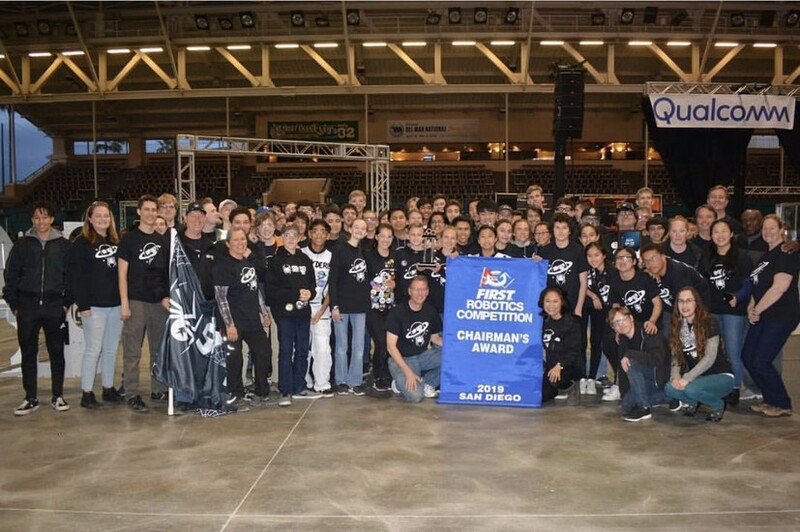 Congratulations to Poway High's Team Spyder 1622 Robotics Team for their Chairman's Award at the San Diego 2019 First Robotics Competition! 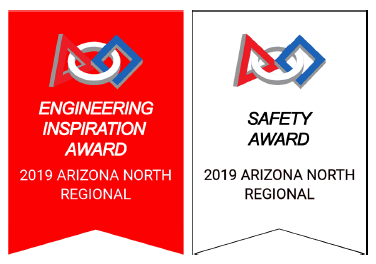 Congratulations to Poway High School’s robotics team, Team Spyder, for winning both the Engineering Inspiration Award and the Underwriters Laboratories Industrial Safety Award at the Arizona North Regional competition! We wish them continued good luck as they head to the Iowa Regional, Idaho Regional, and the Canadian Rockies Regional competitions! Congratulations to Westview High School's robotics team for earning the Team Spirit Award at the recent 2019 FRC Del Mar Regional tournament. 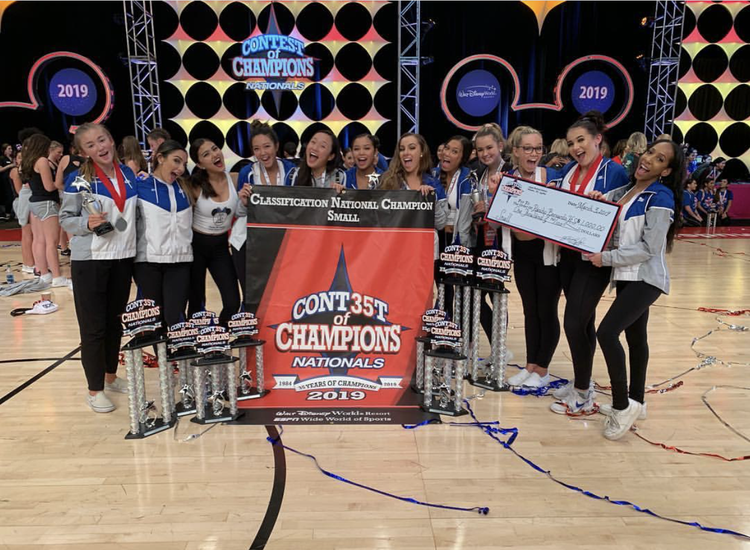 The RBHS Dance Team was awarded the designation of "National Champion - Small" at the Contest of Champions National Competition at Walt Disney World, Florida. 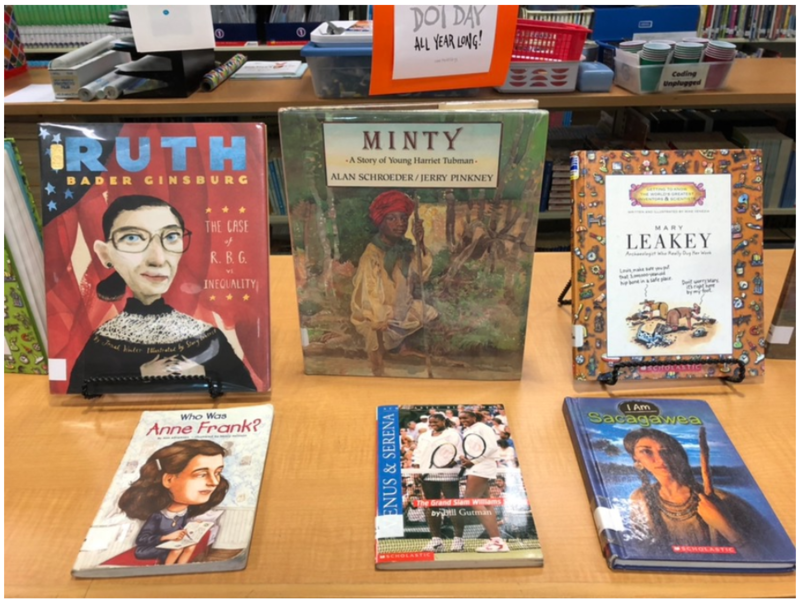 Congratulations to the Black Mountain Middle School students who won multiple awards at the 2019 History Day Competition. Design39Campus students also took home some awards! 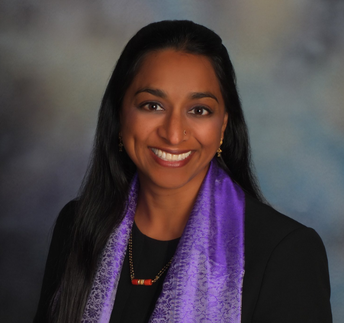 Congratulations to PUSD Board President Dr. Darshana Patel for being selected as "First-Term Board Member of the Year" by the San Diego County School Boards Association! You can read more about the award here. 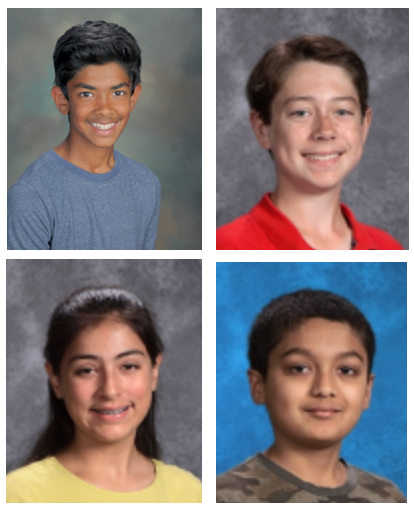 Congratulations to the four PUSD students who competed in the San Diego Union-Tribune Countywide Spelling Bee: Bhargav Nagarajan – Bernardo Heights Middle School; Daniela Soto – Black Mountain Middle School; Cooper Hambrick – Mesa Verde Middle School; and Punarvasu Sangam – Oak Valley Middle School. Congratulations to Westview High School student Sauhaarda Chowdhuri who won the Sweepstakes Award in the Physical Science Division at the Greater San Diego Science and Engineering Fair. 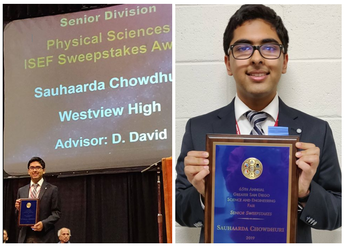 Sauhaarda was also selected as an Intel ISEF finalist and will be representing PUSD at the Intel International Science and Engineering Fair in May. 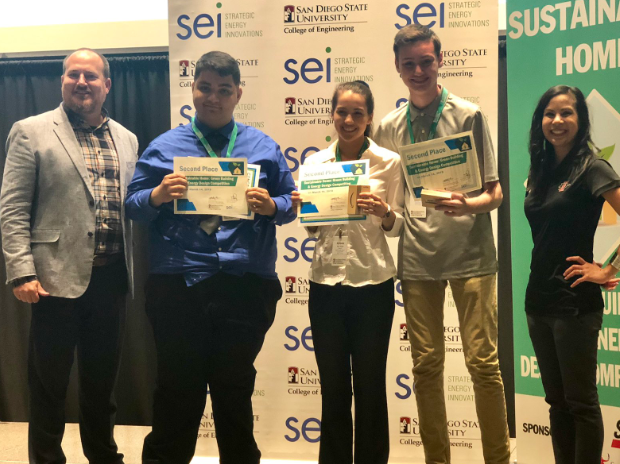 Congratulations to the Engineering and Architecture students at Poway High School who took second place competing in the SEI Sustainable Home Competition! 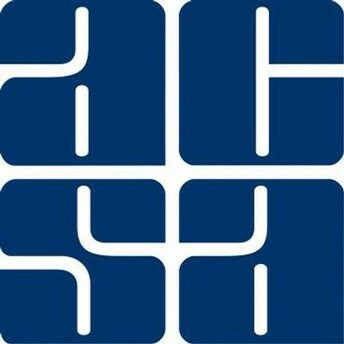 The Association of California School Administrators (ACSA) released the names of their 2019 honorees and PUSD received five awards – the most of any San Diego County school district. 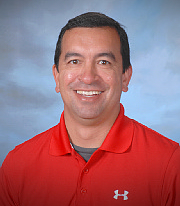 Congratulations to: Greg Magno, Principal, Mt. 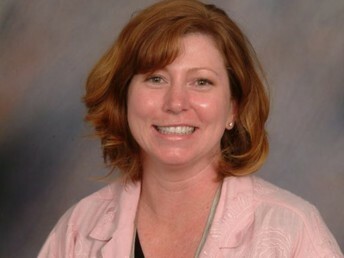 Carmel High School: Secondary Principal of the Year; Colin Young, Poway High School: Secondary Co-Administrator of the Year; Kimberlie Rens, Curriculum & Instruction Administrator of the Year; Tim Purvis, Director of Transportation: Classified Leader of the Year; Northrop Grumman: Partners In Educational Excellence Award. You can read more in the press release here. 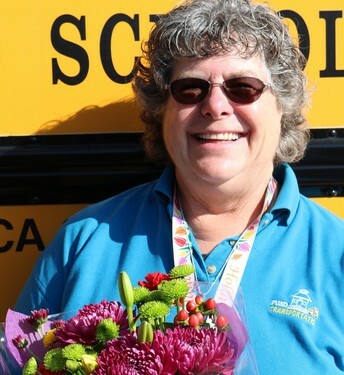 The Poway Unified School District is proud to announce that Deborah Seibert, Bus Driver for Transportation; Alice Burge, Student Services Assistant for Adobe Bluffs Elementary School; and Vickie Norris, Office Specialist in Facilities, Maintenance, and Operations, have been chosen as the Poway Unified School District Classified Employees of the Year for 2019. You can read more about these outstanding individuals and see a full list of site and department winners here. 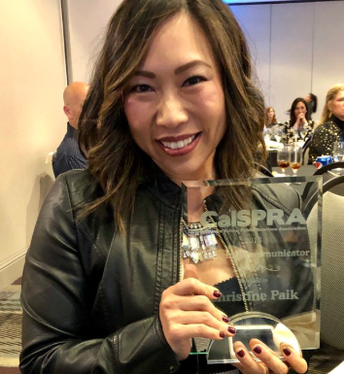 Congratulations to Poway Unified School District's Director of Communications, Christine Paik on her California School Public Relations Association (CalSPRA) Award as "California Emerging Communicator of the Year"! 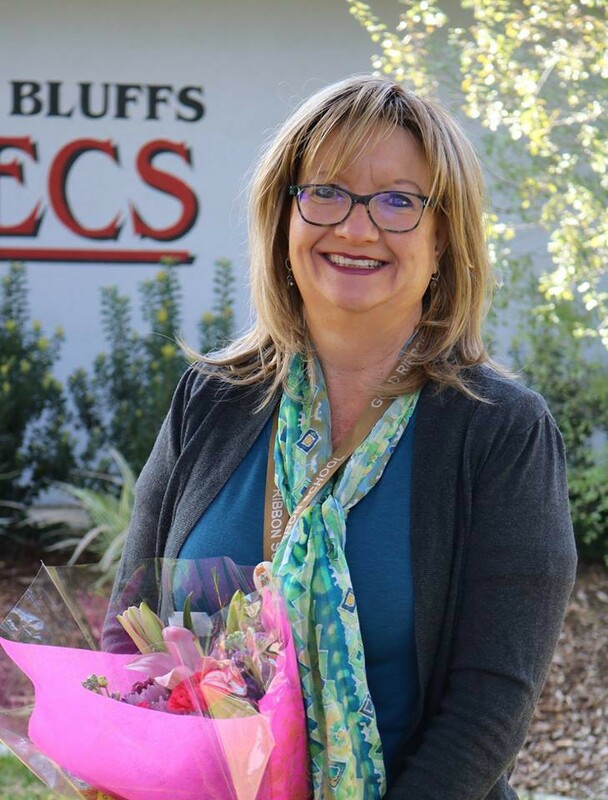 Congratulations to Poway Unified School District's Executive Director of Career, Technical, and Adult Education, Kathleen Porter, on her prestigious "Robert W. Rupert Award" from the California Council for Adult Education (CCAE)! 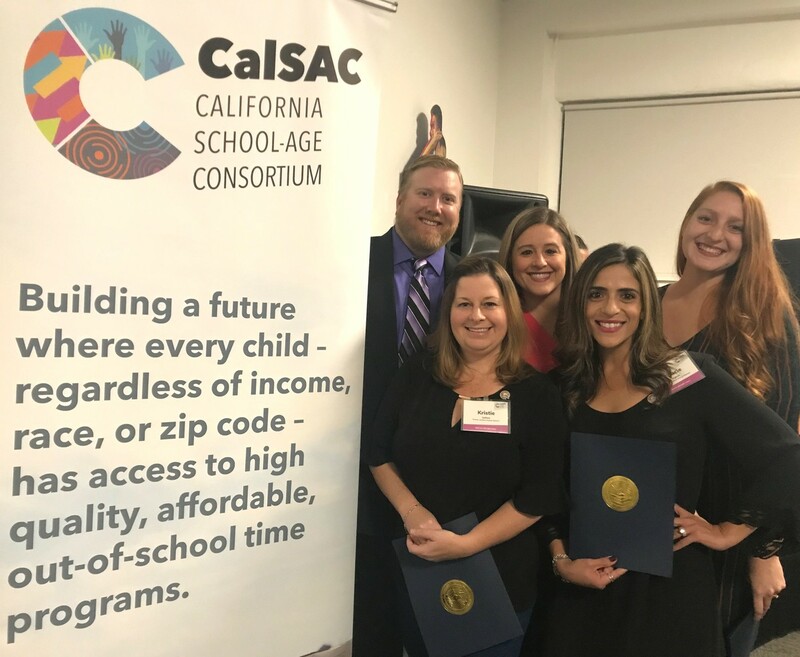 5 PUSD ESS and Preschool Supervisors participated in a year-long leadership training through the California School-Age Consortium (CSAC) and completed the Leadership Development Institute (LDI). 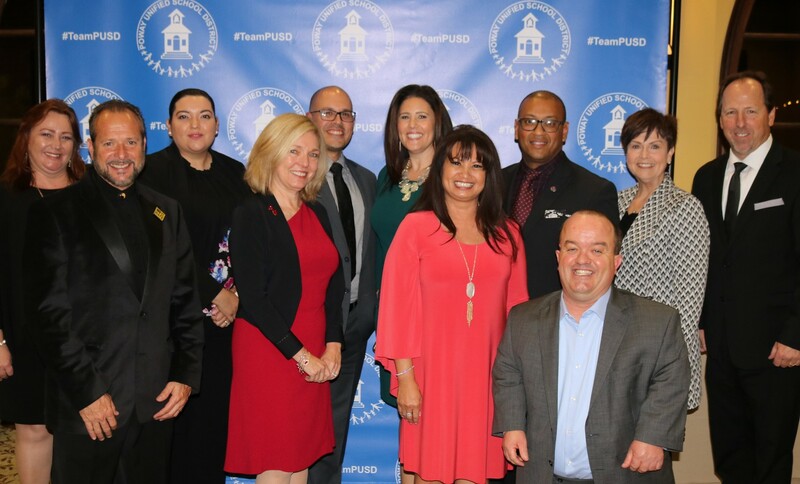 PUSD ESS and Preschool programs are highly-regarded throughout the State of California and we congratulate these leaders. 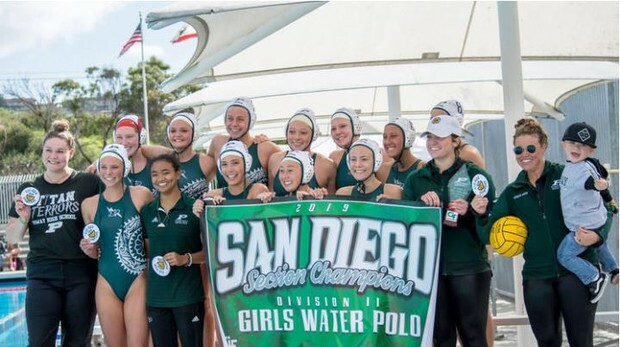 Poway, seeded No. 2 in the Division II playoffs, upended top-seeded Fallbrook 4-2 in the championship game at La Jolla High for a fifth water polo crown. They went on to win the state title! 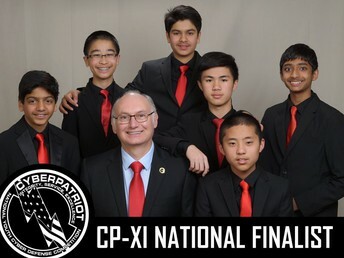 The three cybersecurity teams above have qualified for the National CyberPatriot Cybersecurity Competition in Baltimore in April. 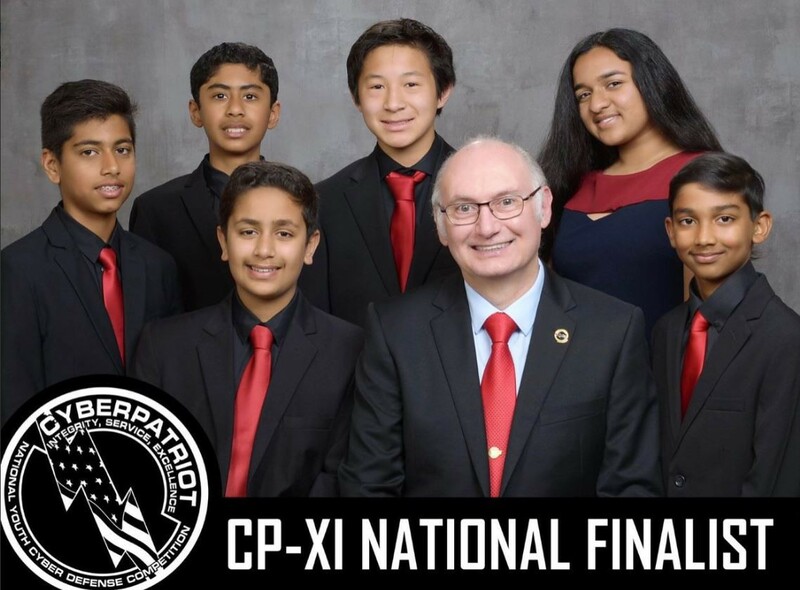 Five Poway Unified teams also placed in the SoCal Cyber Cup Challenge, including Del Norte and Westview High Schools, Design 39 Campus, and Oak Valley and Meadowbrook Middle Schools. You can read about the competition here. 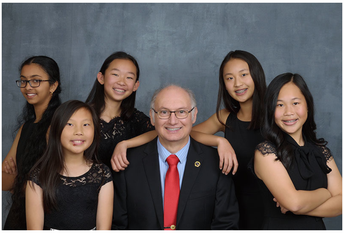 The CyberAegis all-girls cybersecurity team from Oak Valley Middle School was featured in this article highlighting young women in STEM. 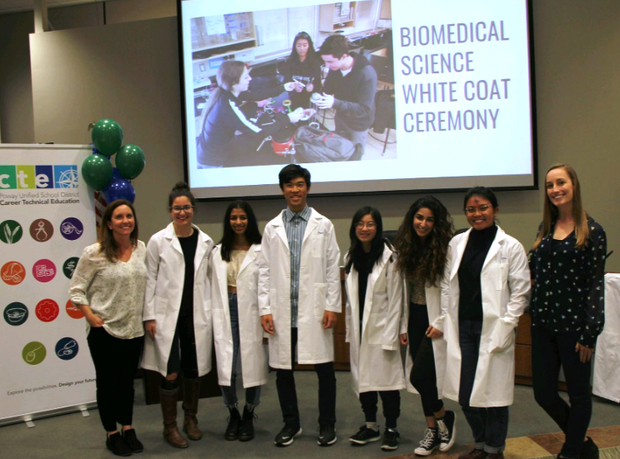 Del Norte High School students, who recently completed the Project Lead The Way BioMedical pathway, participated in a White Coat ceremony. Congratulations to these future scientists! 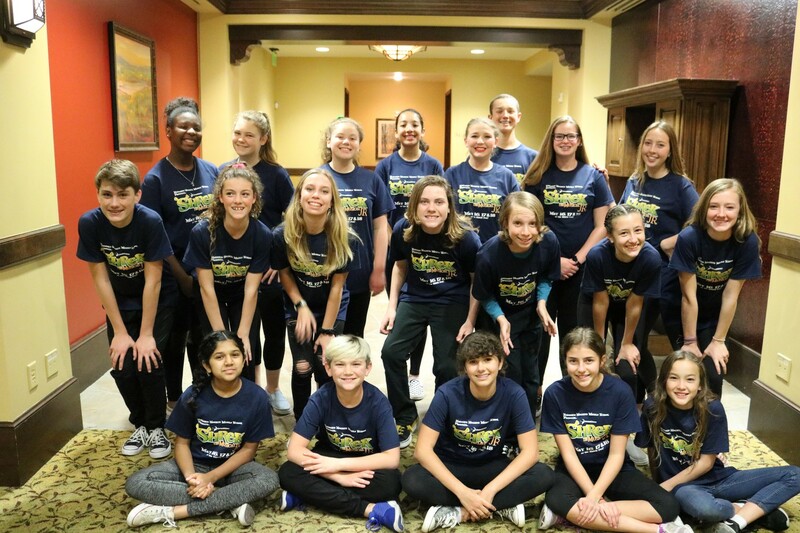 D39C, Black Mountain Middle School, Adobe Bluffs Elementary and Del Sur Elementary schools all competed in recent Odyssey of the Mind competitions - including at the State Finals. Both Del Sur and Black Mountain qualified to advance to the World Finals in May! 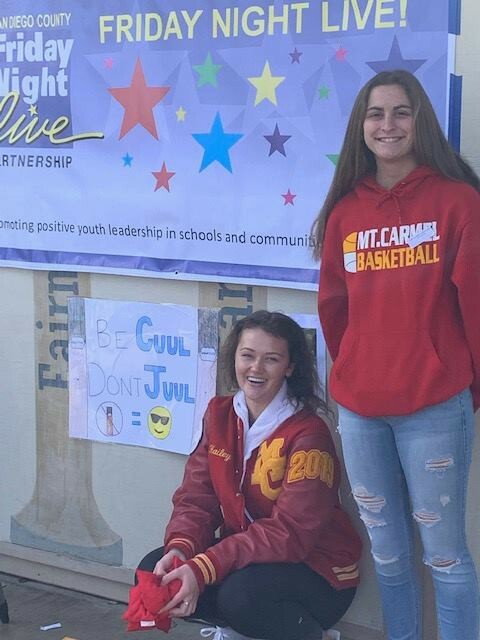 Three Poway Unified School District ASB Presidents were honored at the Laurels for Leaders luncheon. Congratulations to Delaney Anderson, Del Norte High School, Sean Fallen, Poway High School, and Dean Olsson, Westview High School. Thank you for the work you've done this year to improve your schools! Every month, Studio 701 (PUSD's digital media internship) highlights a PUSD program or event as part of the "Excellence in Education" series. This week, the interns followed Park Village Elementary students on their first-ever trip to Biztown. 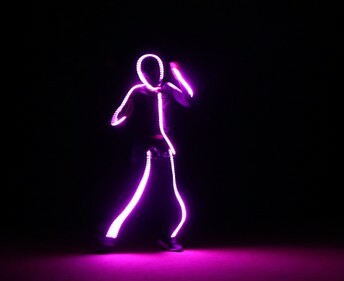 Please enjoy the video below or check out the photo essay. 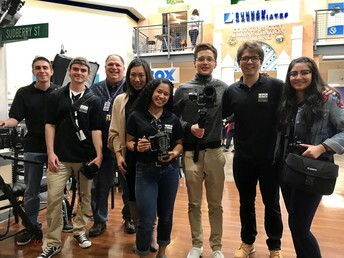 The PUSD Communications Department is now accepting applications for high school interns for the 2019-2020 school year. 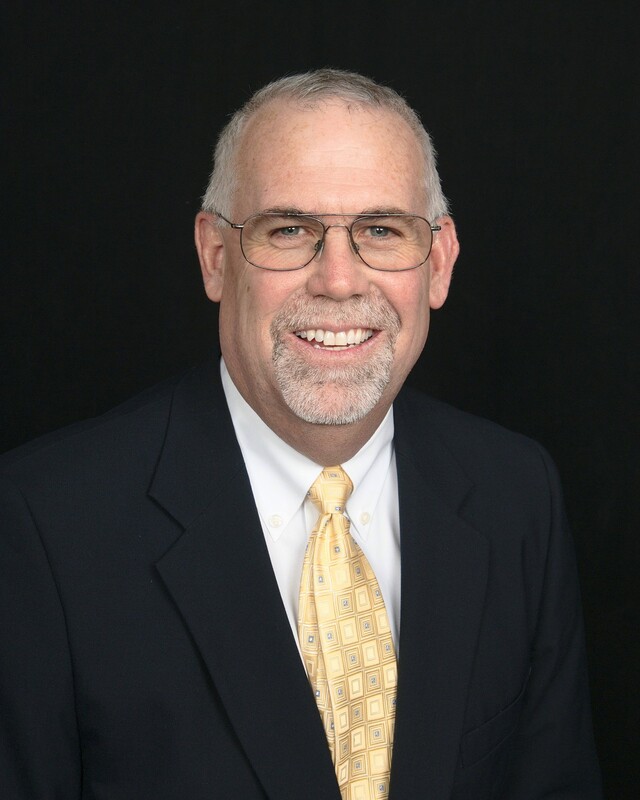 Student should have skills and interest in digital media or broadcast journalism. For more information and how to apply, go here. 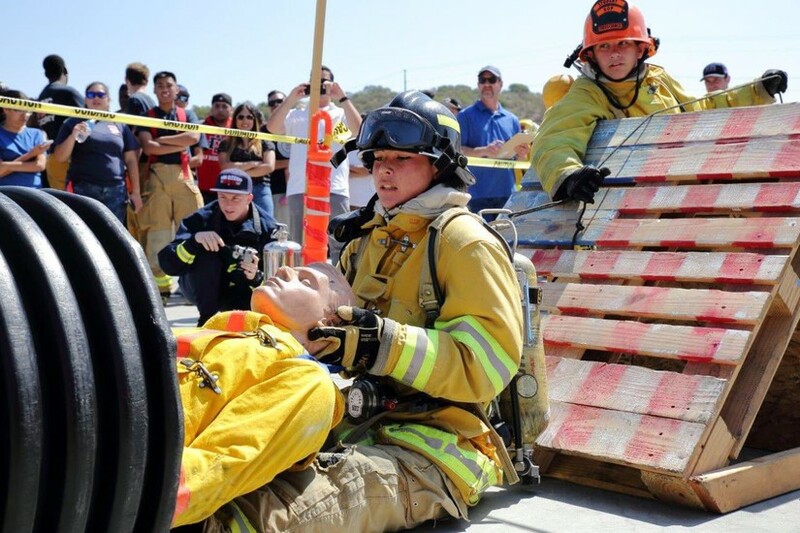 Save the date: the 2019 Fire Science Challenge will take place on Saturday, April 13, 2019, at the Poway Training Tower. 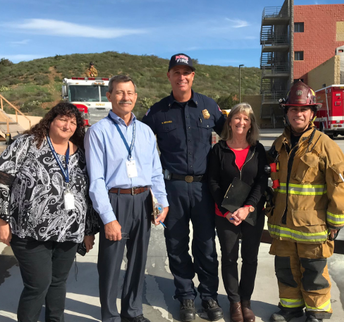 Come watch Captain Bill Briscoe (retired Poway Fire) and his Mt. Carmel High School team take on challengers from fire science programs throughout the county. 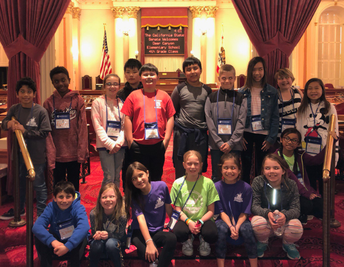 Fourth Graders from Deer Canyon Elementary School were welcomed to Sacramento by Senator Toni Atkins. 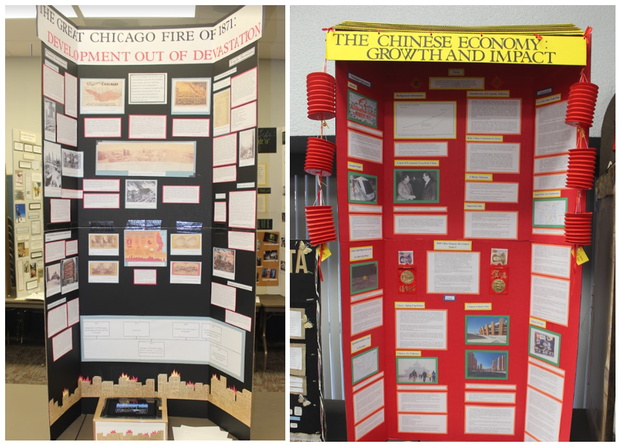 The students enjoyed experiential social studies and government lessons. Kinders at Chaparral Elementary School learned about reflection and refraction. 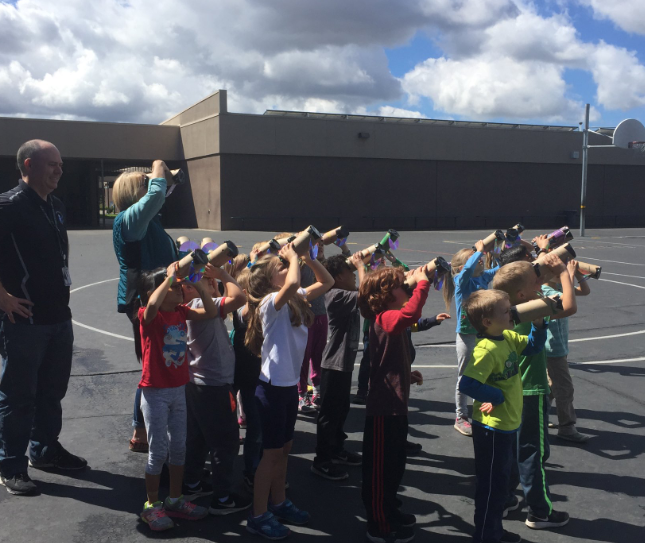 They made their own spectroscopes and saw rainbows! 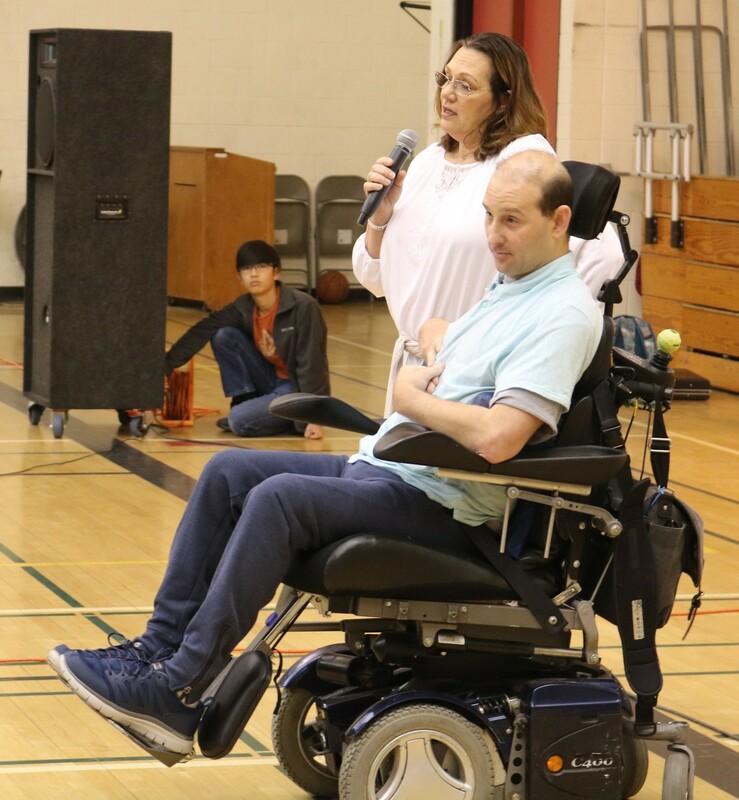 Westview High School’s No Place For Hate week kicked off with a student-led game of Human Diversity Bingo, with over 100 students and staff learning a little bit about each person in order to foster conversations about identity and diversity. Teachers gathered at Del Sur Elementary School (with Starbucks and smiles) to start off February with a Professional Growth Day. Valley Elementary School held their annual Art in the Valley art show where students showcase their class art and former students come and play music and sing. 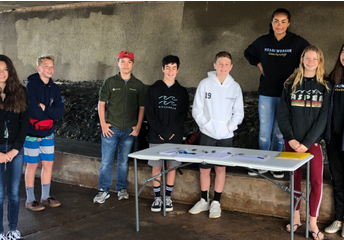 Meadowbrook Middle School's ASB sponsored a beach clean-up at Del Mar State Beach as their community service. March was Women's History Month and Pomerado Elementary School had a wide selection of reading materials available for their students! PUSD’s Career and Technical Adult Education held a career fair at Black Mountain Middle School. 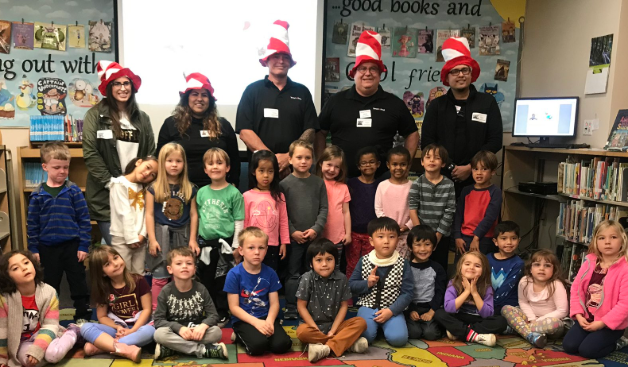 The fair, designed to promote career exploration and awareness at an early age, featured local business partners, including SDG&E, Studio West, San Diego Unified Police (and their K9 unit) and many others. 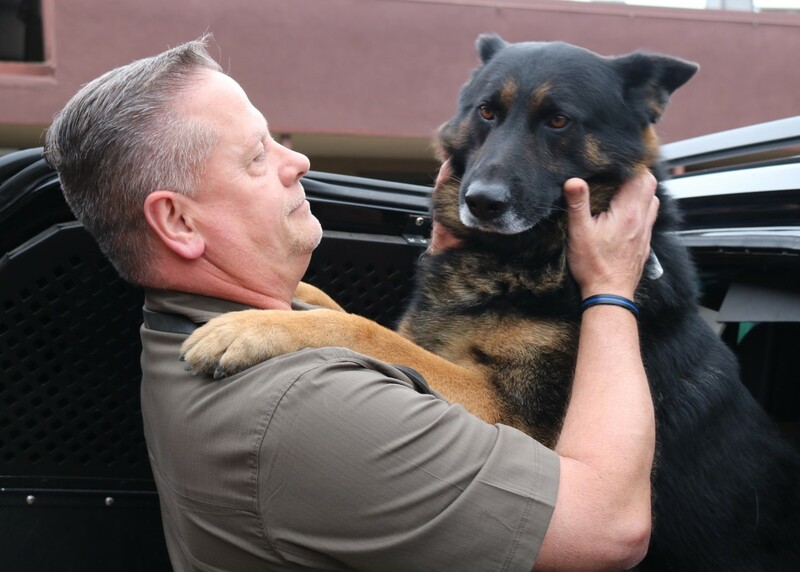 Students benefited from a number of hands-on activities and from Q & A with business representatives, while the K9 demonstrated his heightened ability of smell via a simulated locker search. 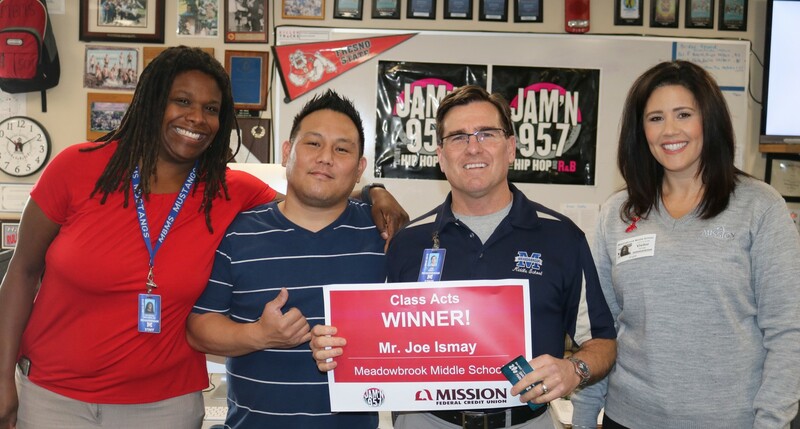 Representatives from Mission Federal Credit Union and radio station 95.7 awarded Meadowbrook Middle School teacher Joe Ismay as part of the Class Acts awards. 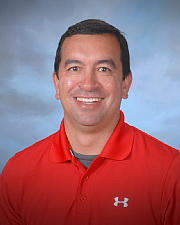 One of Mr. Ismay’s students sent in a letter recommending him for the recognition. Midland elementary School celebrated in style the 100th day of school! Nearly 150 students from Twin Peaks and Mesa Verde Middle Schools participated in the California Association of Student Leaders (CASL) Leadership Development Day - providing opportunities for students to become inspired and contribute to the betterment of their campus and communities. 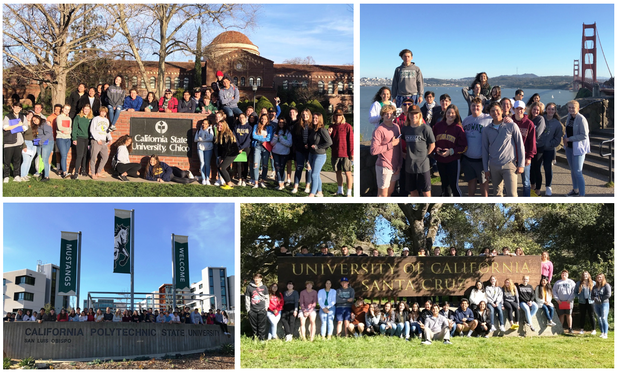 Poway High School AVID students completed a 4-day college tour road trip! 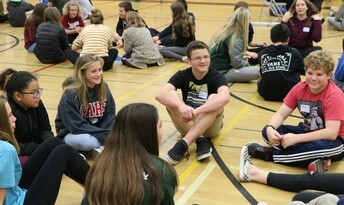 Students visited Cal Poly, UC Santa Cruz, San Francisco State, Chico State and more - and met with several PHS alumni. 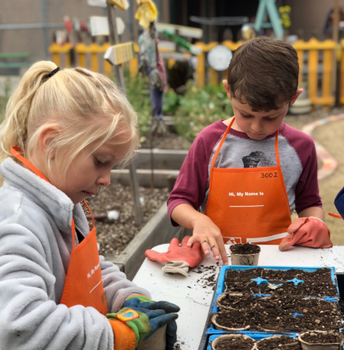 Chaparral Elementary School students are planting milkweed flowers to feed the monarch butterflies, digging through different layers of soil, and learning all about compost & recycling. 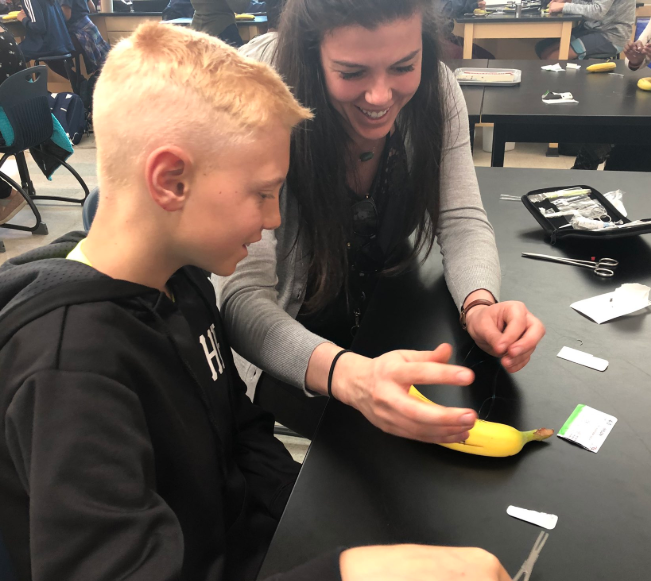 Awesome connection with Design 39 Campus students experiencing Project Lead The Way at Del Norte High learning from a Kaiser Permanente surgeon how to suture. Sister and brother Ellie and Thaison performed in the Sunset Hills Talent Show - Ellie showed off her dance prowess while Thaison wowed the audience with his piano playing. 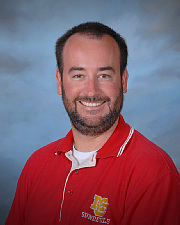 Principal Wilken couldn't be more proud! 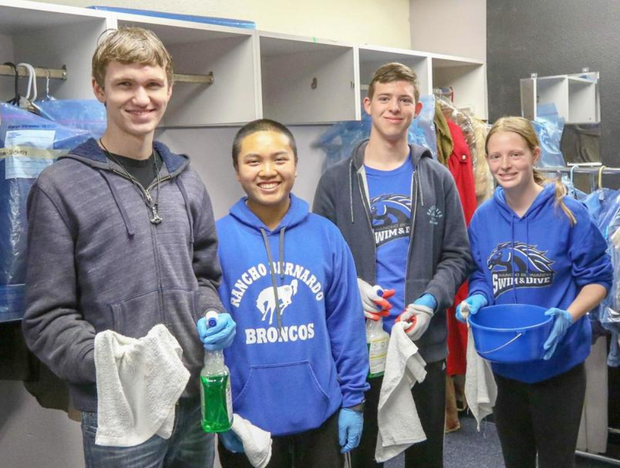 Over 100 volunteers - students, staff, parents and community members - took part in a "deep cleaning" of Rancho Bernardo High School's Performing Arts Center. 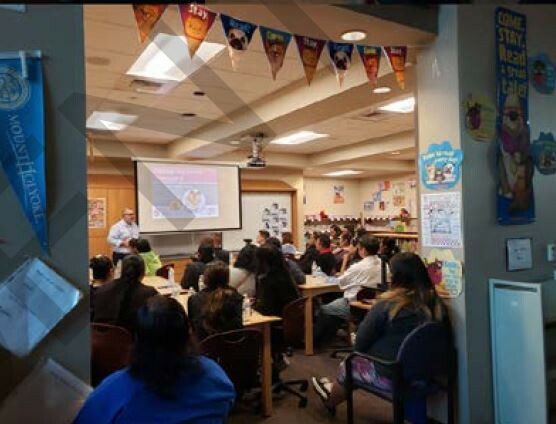 43 parents attended the first-ever Spanish version of the Teen Positive Parenting Program at Valley Elementary School, covering topics including raising responsible teenagers and getting teenagers connected. 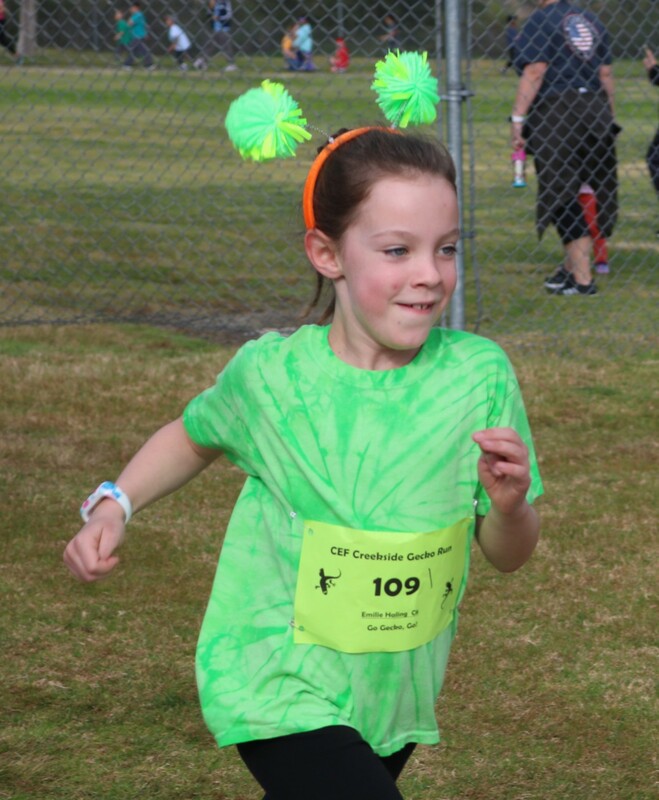 Creekside Elementary School held their 6th annual CEF Gecko Run on January 31st. The annual event, enjoyed by all grades plus parents and staff, exceeded their goal and raised $34,000 for school programs and equipment! Thank you to everyone for your support and participation! 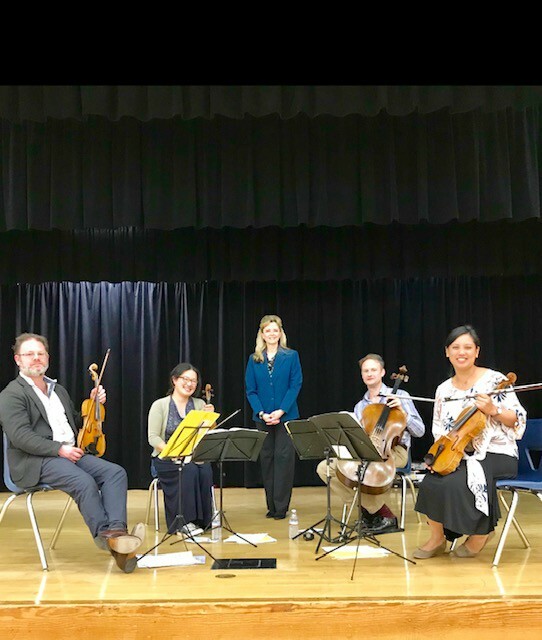 PUSD Alum Carmen Flores returned to perform as part of "The Villiers Quartet" from the University of Oxford in their debut tour of California. 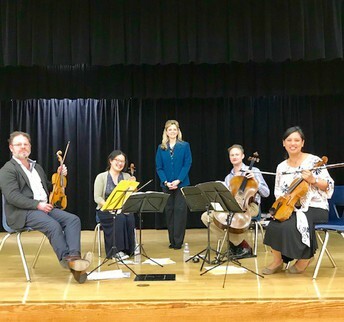 The award-winning British quartet performed at Bernardo Heights Middle School on March 15th. Rolling Hills Elementary School students enjoyed a drama workshop by Poway OnStage as they debut The Secret Garden with 64 PUSD students at the Poway Center for the Performing Arts. Workshops were also held at Los Penasquitos, Valley, Pomerado, Garden Road and Midland Elementary Schools. Students (and staff) at Westview High School celebrated the Lunar New Year with traditional dance, K-pop, martial arts and more! 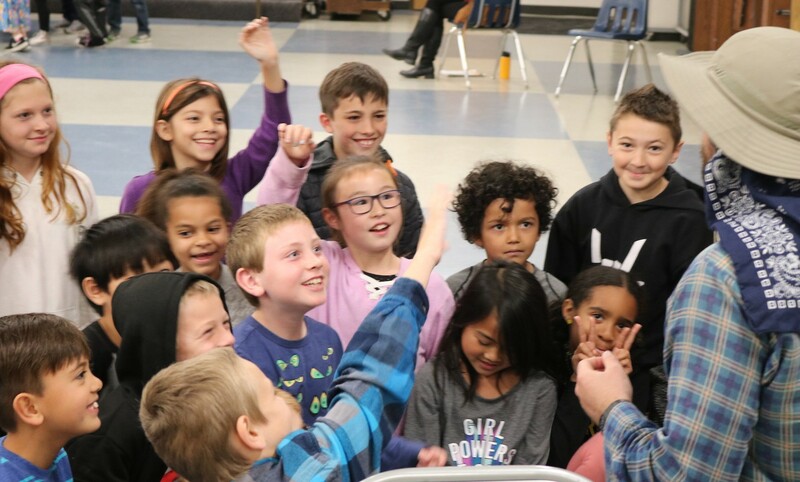 No one rings in the Lunar New Year⁠ quite like Adobe Bluffs Elementary School - home of the District's first Mandarin Immersion and FLES programs. 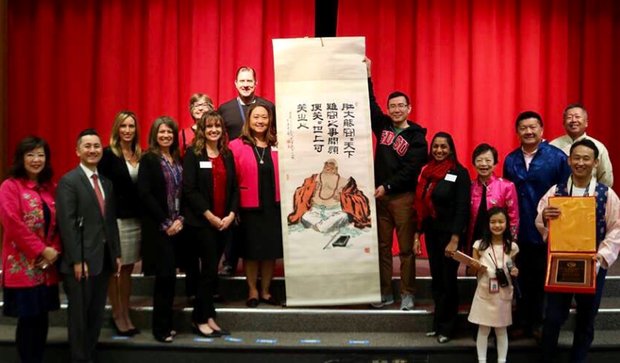 Dignitaries from across San Diego attended the celebration, which included dancing, singing, and plays done by students (and staff) all in Chinese. Bus driver training with the city of Poway fire department. From proper emergency evacuation to fire extinguisher training, truly appreciate this partnership to ensure our students are safe as they travel to and from school. 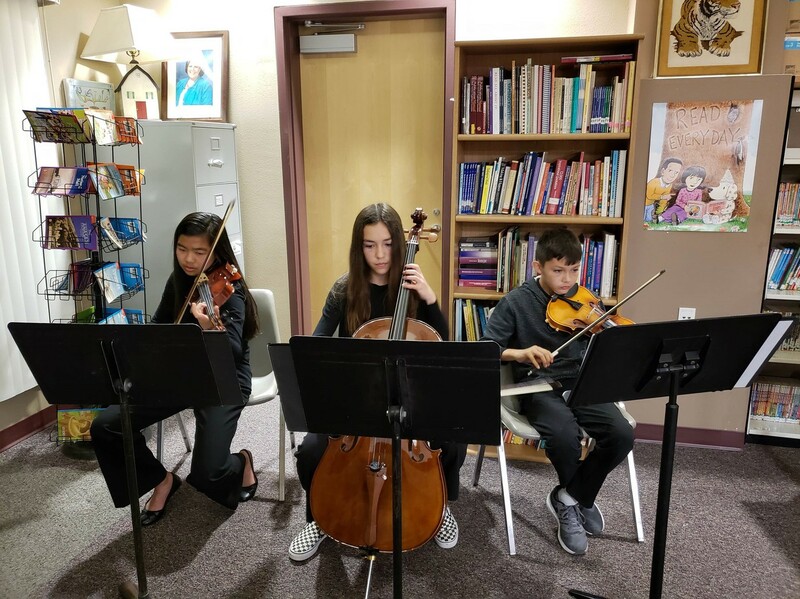 Twin Peaks Middle School's Wind Ensemble kicked off their tour with a concert - and introduction to musical instruments -at Tierra Bonita Elementary School. 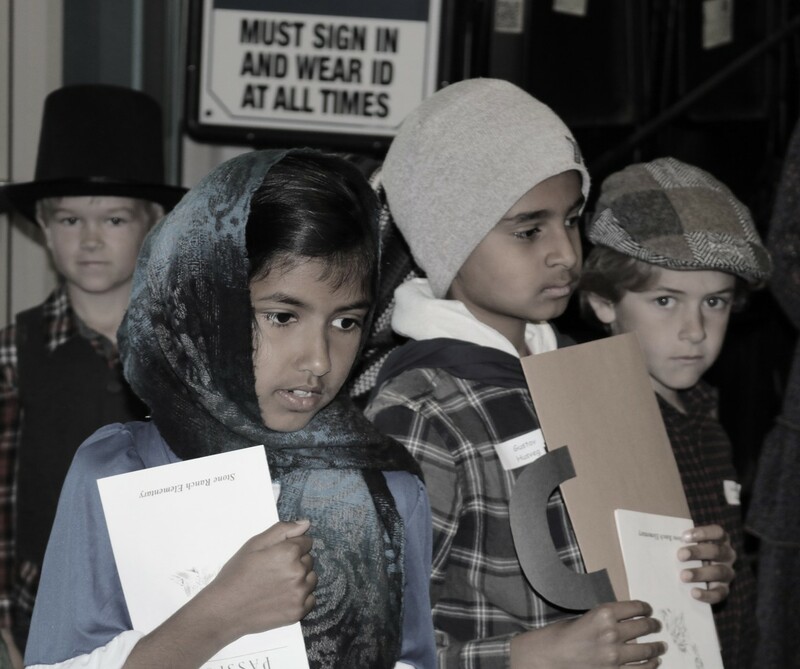 Second graders at Stone Ranch Elementary School traveled past the Statue of Liberty and arrived at Ellis Island as new immigrants! With passport and persona in hand, students were processed, examined by doctors, placed in waiting areas, and either welcomed into the country or turned away. Teachers, staff, volunteers and students all stayed in character. Experiential learning at its best! 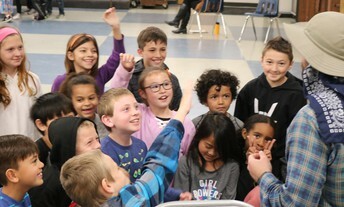 8th graders at Bernardo Heights Middle School learned of the dangers of prescription pills, alcohol and drugs from local DEA Officer, Rocky Herron and former Twin Peaks Middle School and Poway High School student Aaron Rubin, who, because of a drug overdose, suffered severe brain damage and lost his ability to walk and talk. 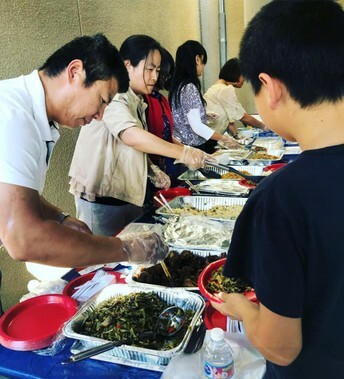 Del Sur Elementary School hosted its annual Heritage Night on March 22nd, highlighting dozens of different countries, cultures, and food! Best Buddies Grand Slam Event was a blast! 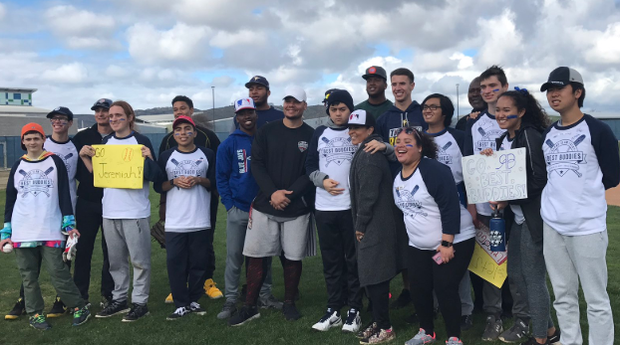 Thank you Dave Stewart, MLB players & Del Norte and Rancho Bernardo High schools for coming together to play ball! 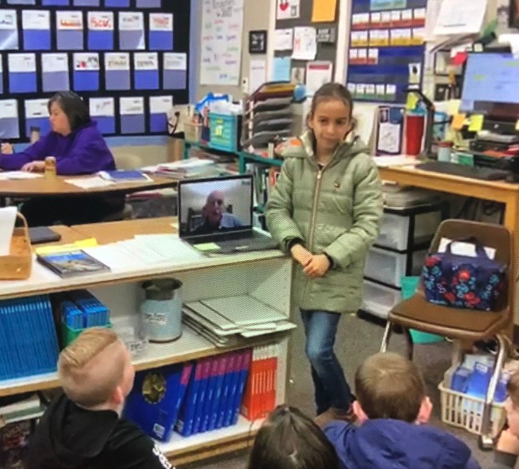 Students at Turtleback Elementary School connected via Skype with an expert working at a Natural Gas Plant in Dubai in order to deepen their learning on energy. 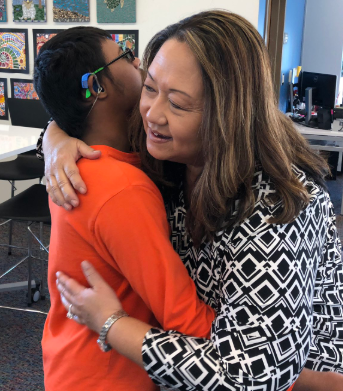 Superintendent Dr. Marian Kim Phelps returns a hug from a student at Design 39 Campus. Black Mountain Middle School AVID students tour the UCSD campus. 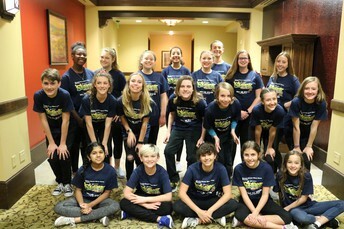 A group of 17 very special Oak Valley Middle School students (and a staff member!) 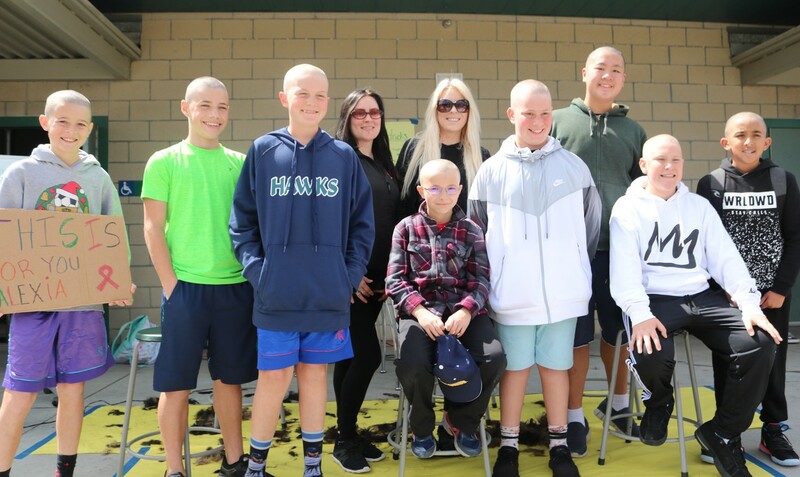 stepped up in support of St. Baldrick’s - an organization working to end childhood cancer – by volunteering to have their heads shaved! Every two minutes a child is diagnosed with cancer. Two minutes is also about the amount of time it takes to have your head shaved to support childhood cancer research. This event was the culmination of their fundraising efforts. 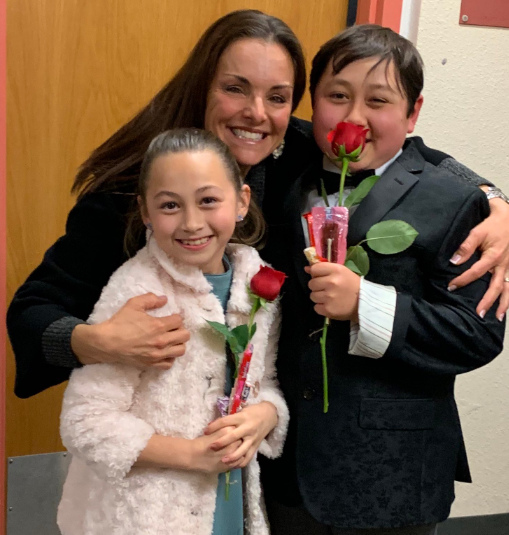 Students at Sunset Hills Elementary School showed off their talents to staff and students in a preview of their Talent Show to be held at Mt. 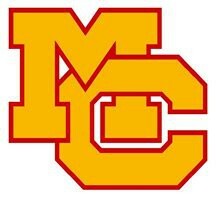 Carmel High School. Looks like it’s going to be a great show!! 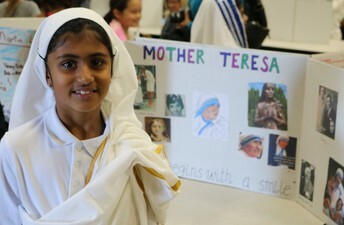 Stone Ranch Elementary held a very successful Science Fair. Thank you to everyone who participated. The scientific explorations and discoveries were very interesting for all of the students to view. 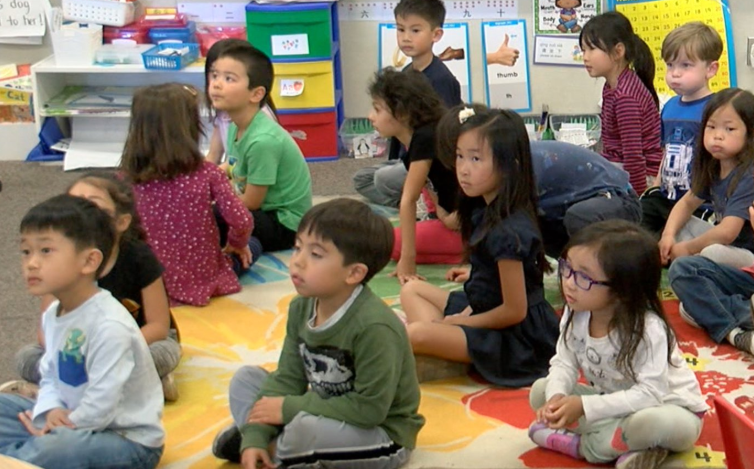 Local media KGTV 10 Visited Adobe Bluffs Elementary School to check out their Mandarin immersion program, where kindergarteners learn in Mandarin about half of each school day and in English for the other half. You can watch the story here. Second grade students at Turtleback Elementary School researched interesting and famous people including Albert Einstein, Mother Teresa, Henry Ford, Rosa Parks, Helen Keller and many, many more. 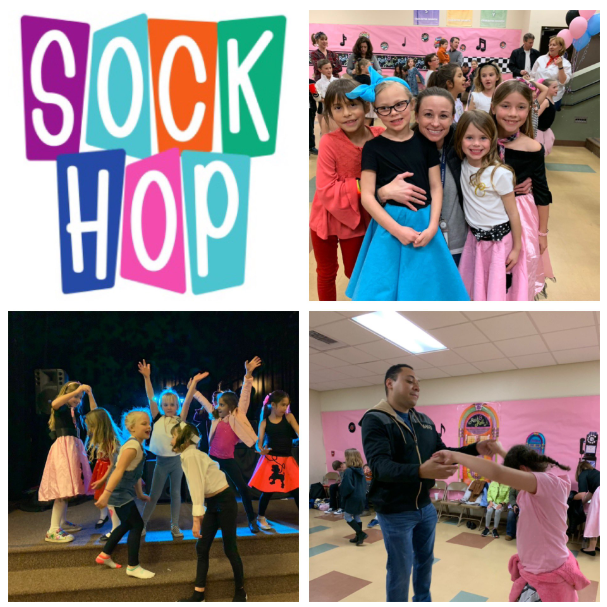 A fun-filled family night at Sunset Hills Elementary School's Sock Hop! Teachers, staff, and families rockin’ around the clock together! 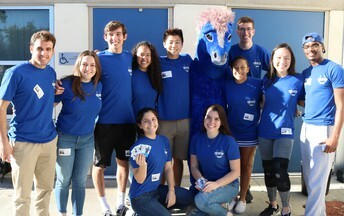 Bronco Ambassadors joined Westwood Elementary School's Friday Flag by modeling character traits such as honesty, responsibility, and fairness. 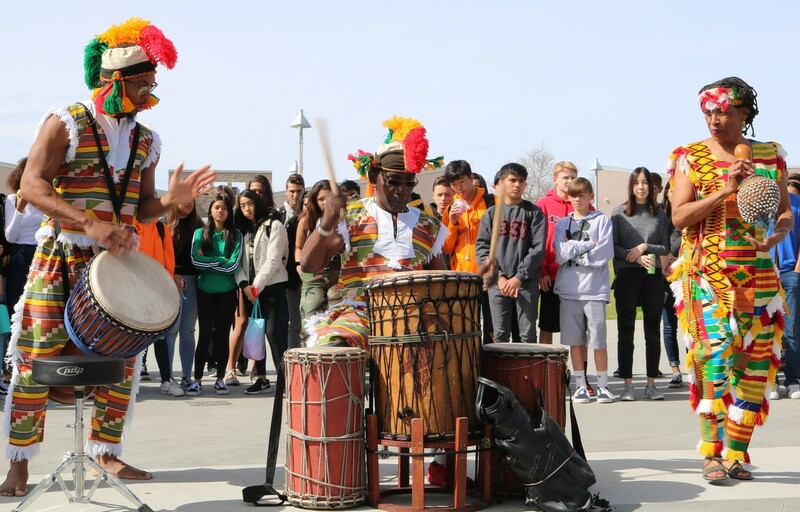 Westview High School students continued their celebration of Black History Month with the lunch time appearance of West African Musicians from the WorldBeat Cultural Center (located in Balboa Park). The musicians performed for the students and invited volunteers to take center stage to learn their dance steps. Garden Road Elementary School students gathered together to celebrate Read Across America! 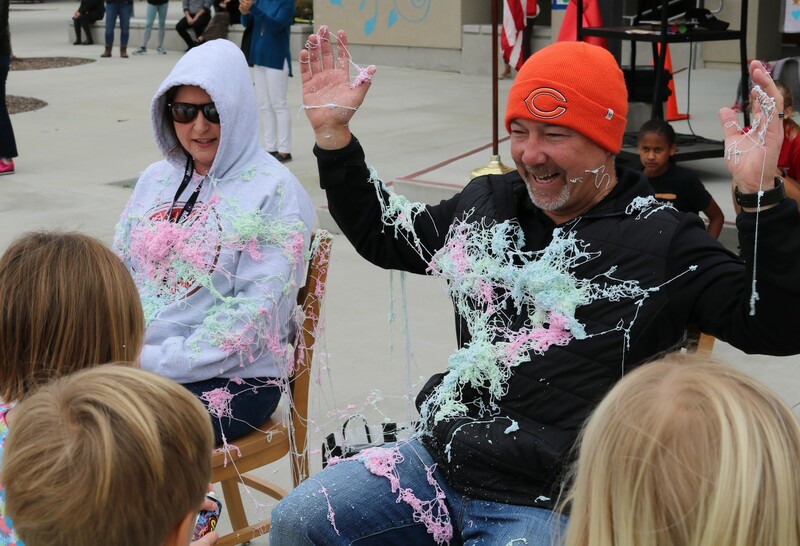 Monterey Ridge Elementary School Principal Sal Embry and AP Gretchen Murphy get Silly Stringed because the students exceeded their Kids' Heart Challenge fundraising goal - raising over $17K! Reps from the Smart & Final Foundation read to students at Chaparral Elementary School as part of Read Across America! Students at Poway High School are celebrating FFA week with a number of student-led activities, including Hay Bucking! 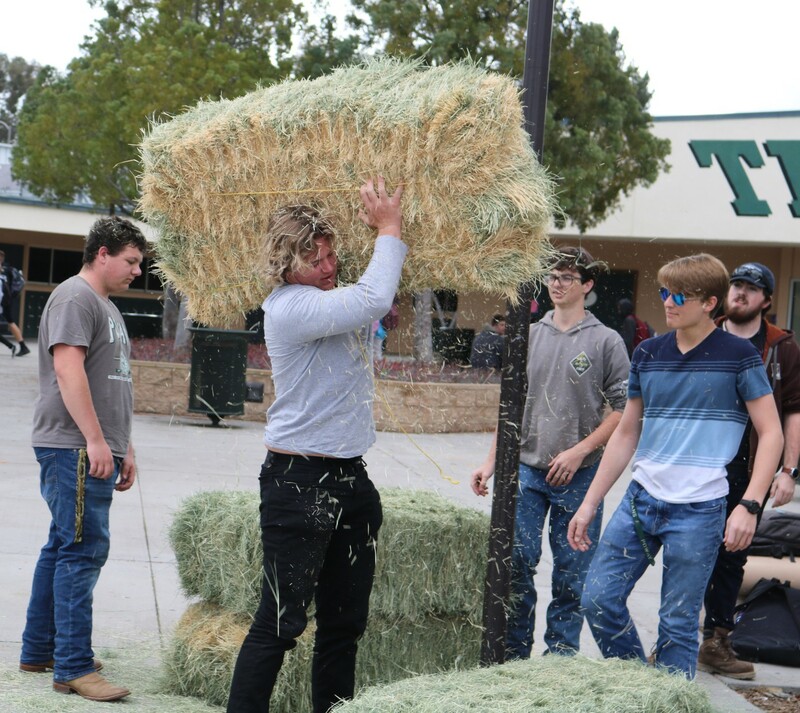 Hay Bucking is carrying hay and it's harder than it looks, with some hay bales weighing 100 lbs or more! Del Norte High School was honored to host 43 students from Super Science High School in Japan. Thanks to ASB and teachers hosts! 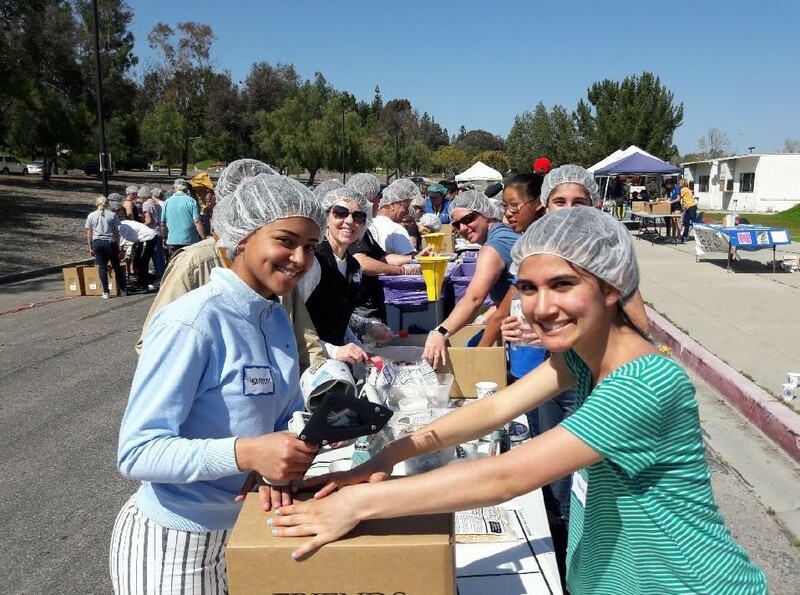 The RB Fight Against Hunger Club hosted a food packing event where volunteers from across PUSD and the community packed 43,848 meals. PUSD's annual Recognition Dinner was held at the RB Inn on February 28, 2019, honoring our Teachers of the Year, Classified Employees of the Year, Volunteers of the Year, Business Partners of the Year, and more! 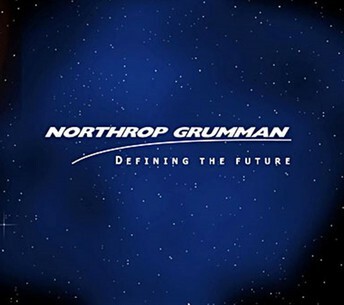 The evening was made possible through the generous donations of our sponsors: Mission Federal Credit Union, Northrop Grumman, Arey Jones, Geico, Keenan & Associates, and Republic Services. View our photo album for more photos. 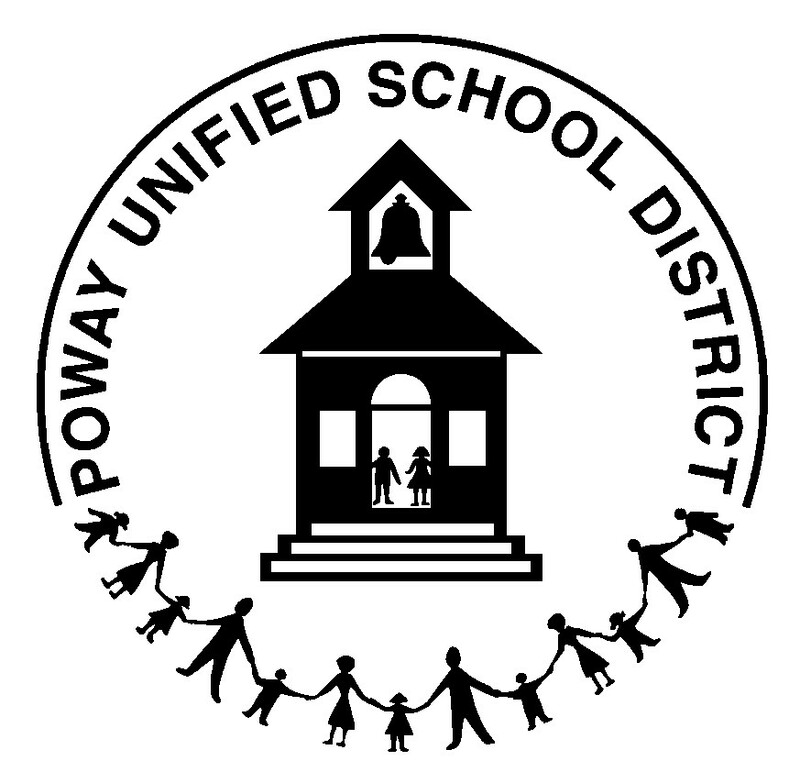 The Poway Unified School District Board of Education believes it is important to seek out and consider students’ ideas, viewpoints, and reactions to the District’s educational program. 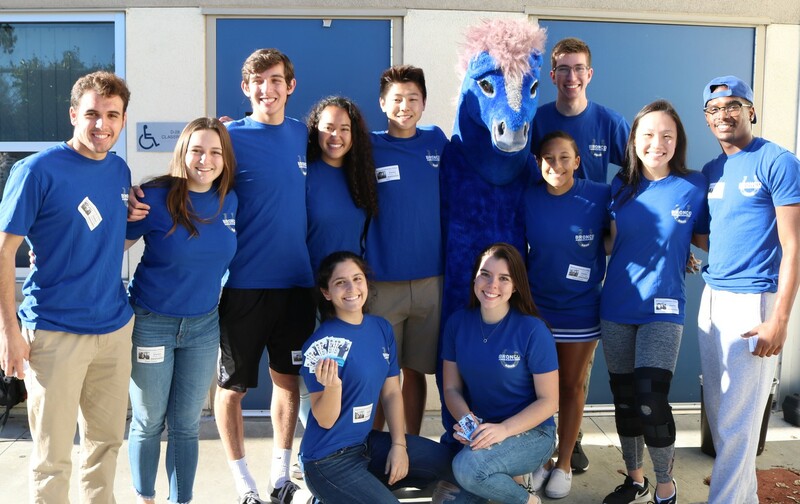 To provide student input and involvement, the Board includes a student board member who will be selected following an application and interview process during the spring of the year prior to appointment. 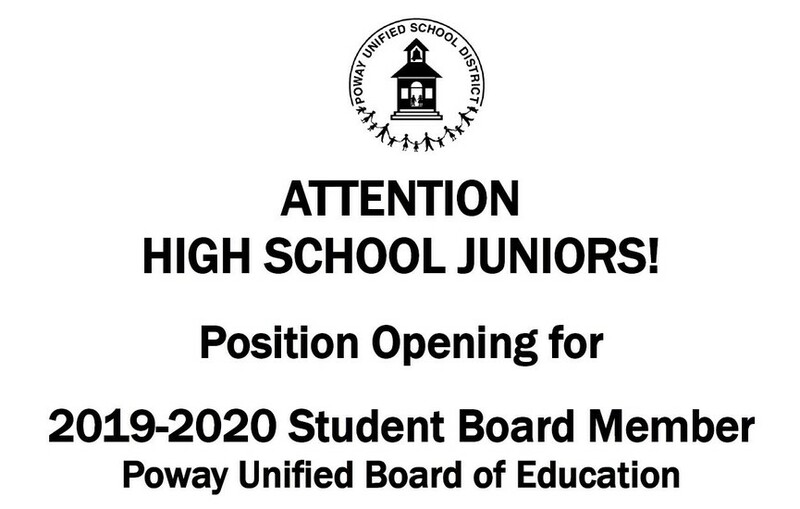 PUSD juniors interested in holding this position during the 2019-2020 school year are encouraged to complete the application form available online. We hope to see you there! 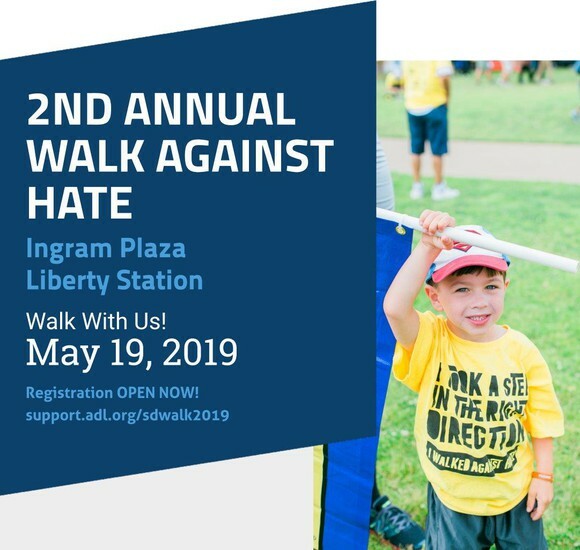 A number of Poway Unified schools will be honored during the opening ceremony for their involvement in No Place For Hate. Early bird prices through March 31st. Register here. Exceptional presentation for middle school and high school parents! 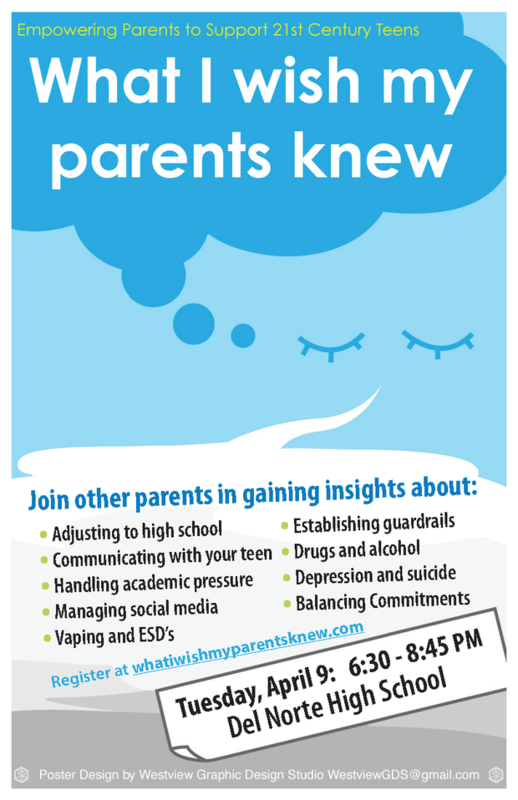 Topics covered include depression and suicide, handling academic pressure, vaping, communicating with your teen, and much more! Learn more and register here. 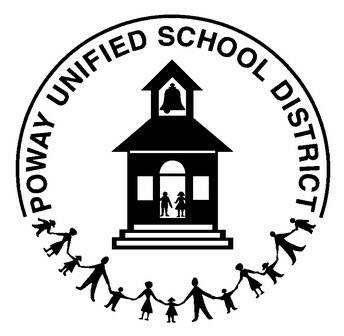 The Palomar Council of PTA's invite you to join them to learn more about school programs in place designed to protect children from becoming victims of human trafficking. Contact your site's PTA leadership for more information. 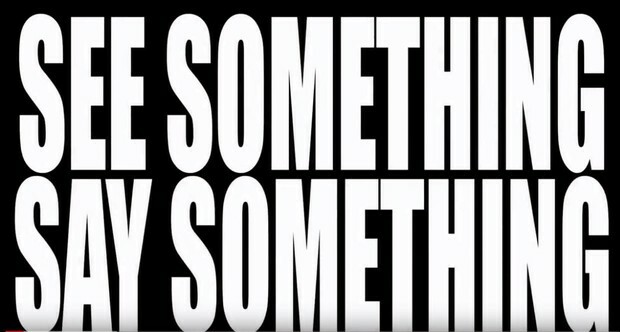 As part of Poway Unified’s ongoing efforts to improve school safety and security, we have been sharing this “See Something, Say Something” public service announcement with many of our students. 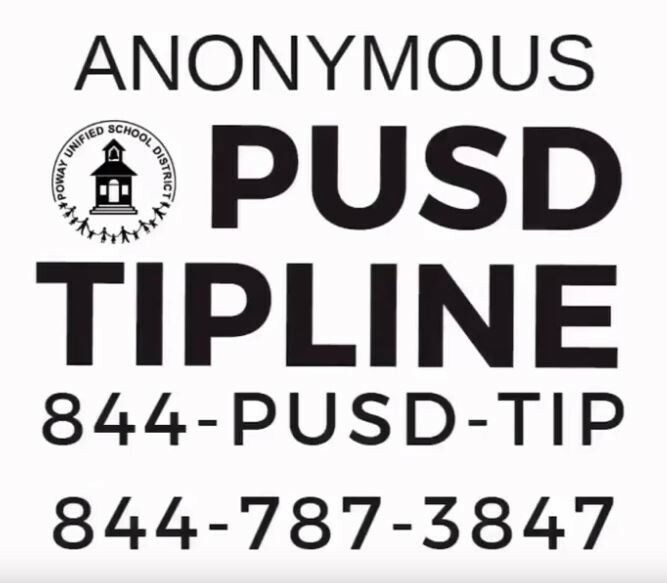 But this message applies to our parents and community members as well: help spread the word by watching and sharing this video so that we have as many eyes and ears out there working to keep our students and staff safe from threats. Save the tip line number in your phone: 844-787-3847. Special thanks to our law enforcement partners who participated in this PSA and continue to monitor the tip line and investigate any threats.